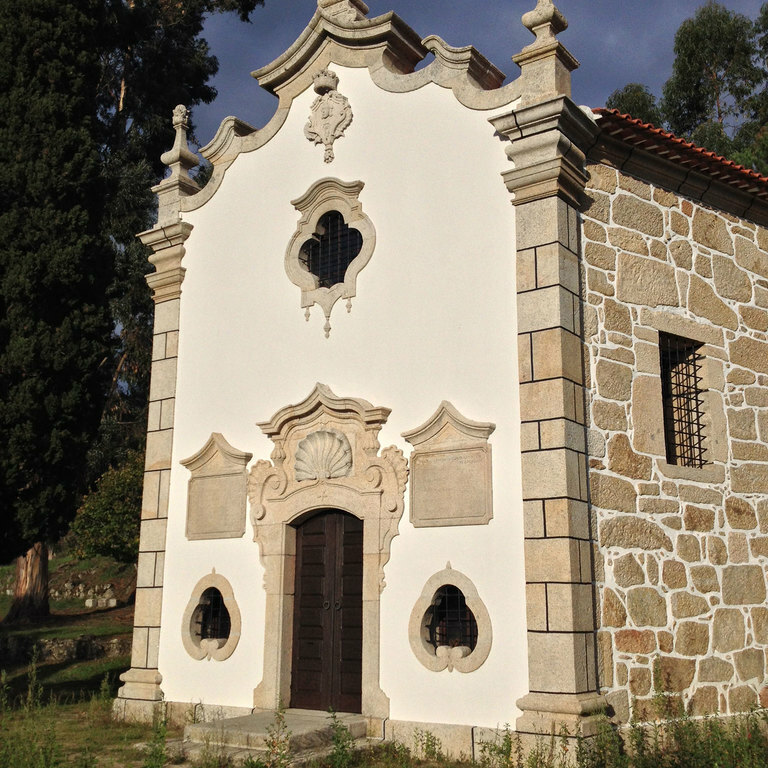 In 1173, former physician Soeiro Teodoniz founded a monastery near the left bank of the Dão River, of which he was the first abbot. 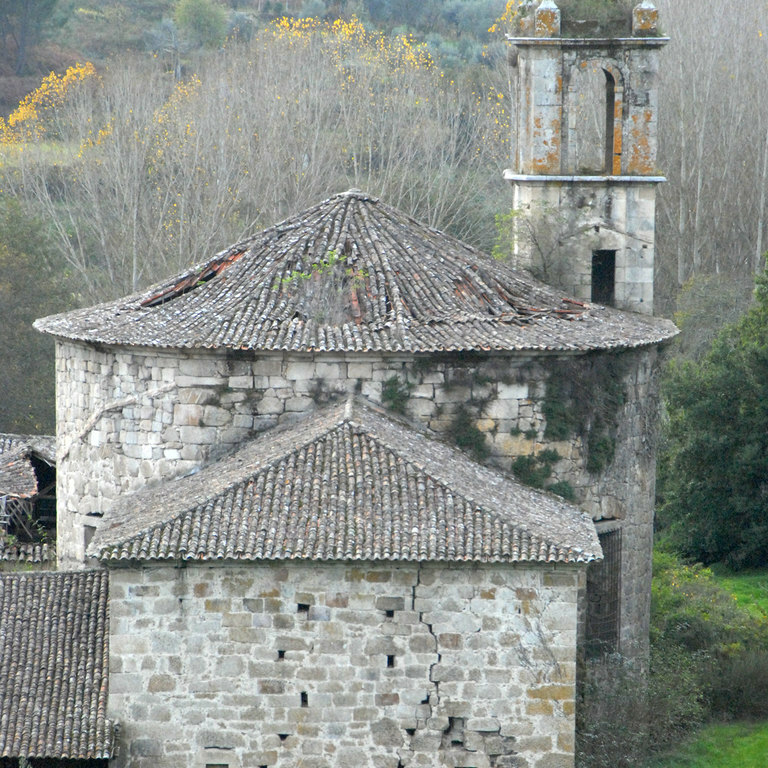 King D. Afonso Henriques fixed, in a document, the limits of the land and placed the community (which followed the rule of S. Benedict) under his protection. 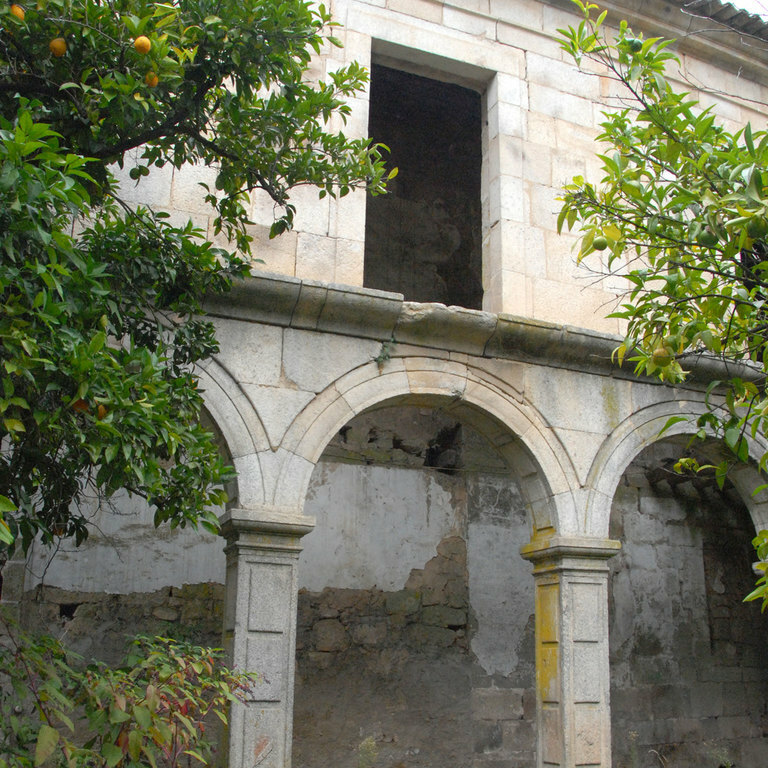 The friars quickly adopted the Cistercian rule (ca1188) placing themselves under the monastery of Alcobaça. 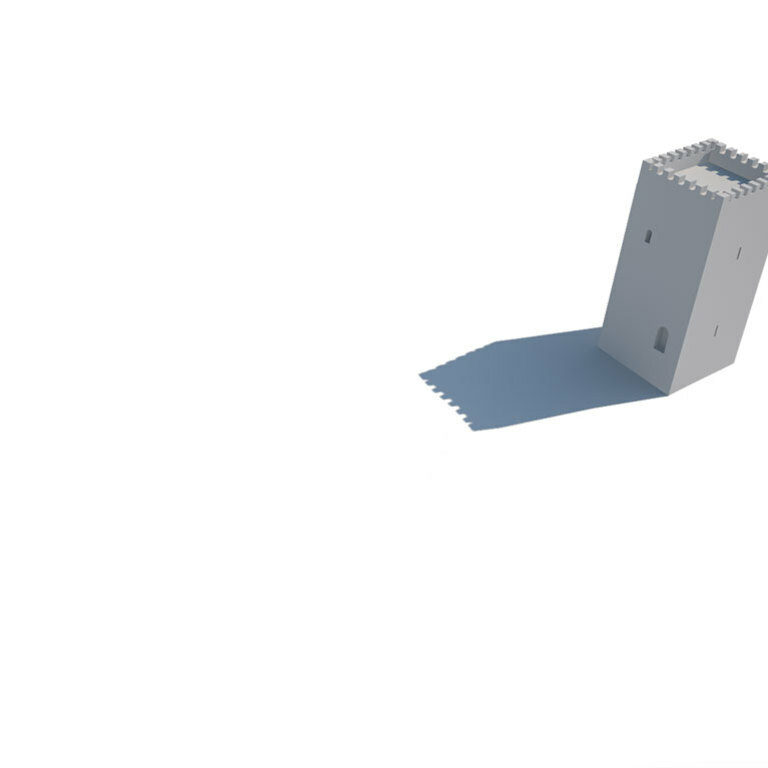 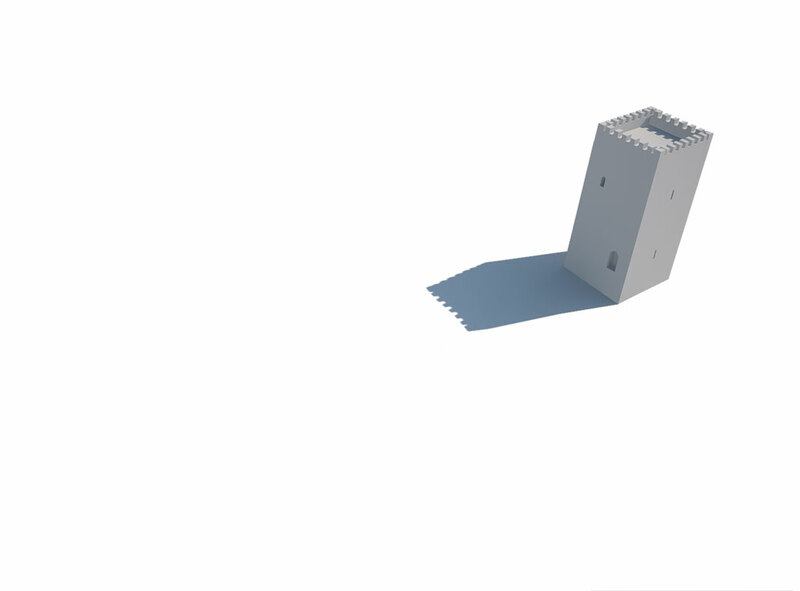 The building should have been modest because practically nothing remains of that time — except the base of a seigniorial tower, probably preexistent and meanwhile much altered. 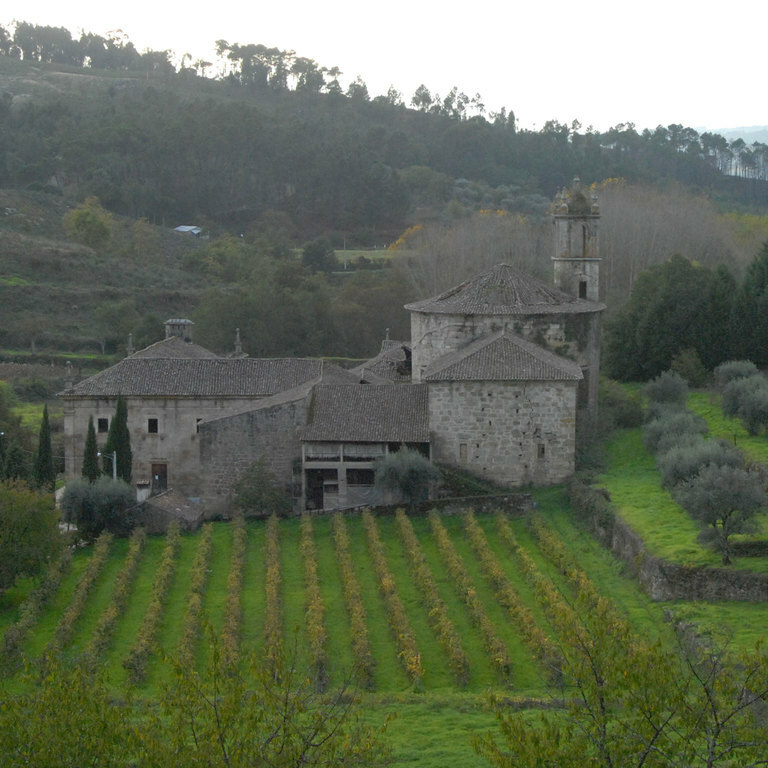 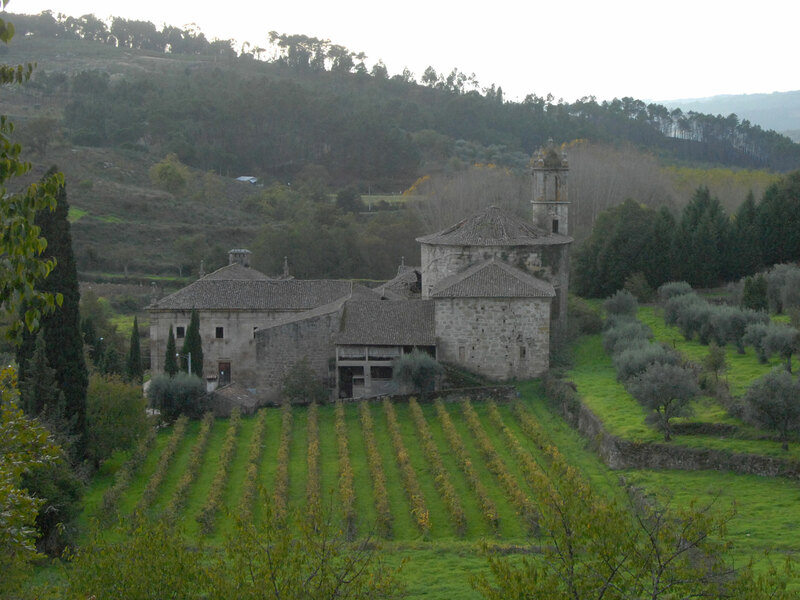 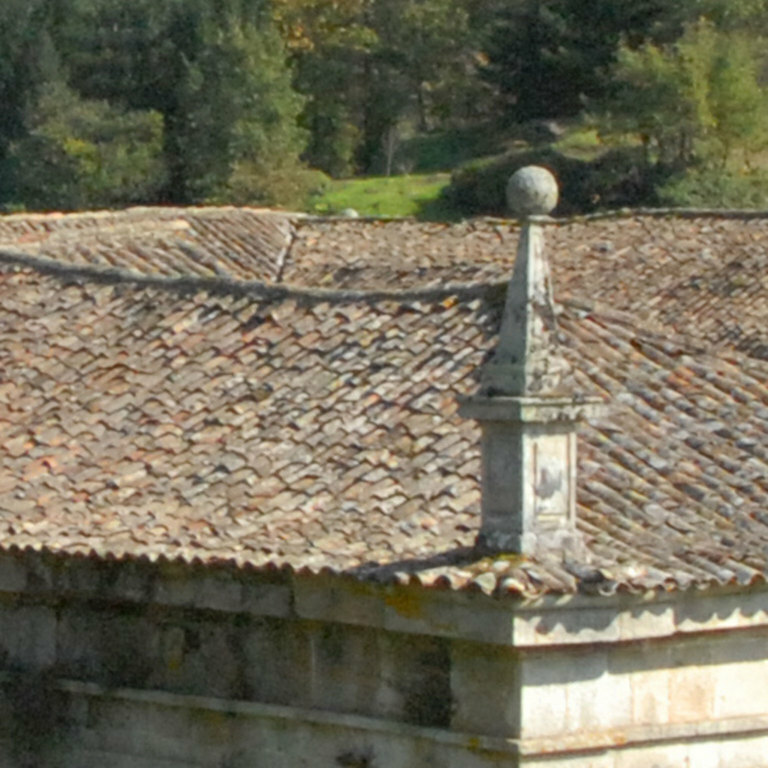 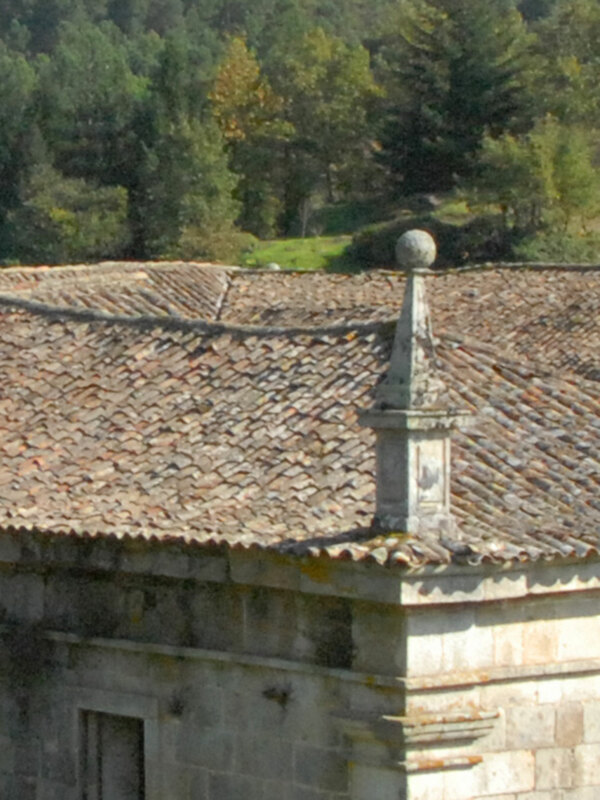 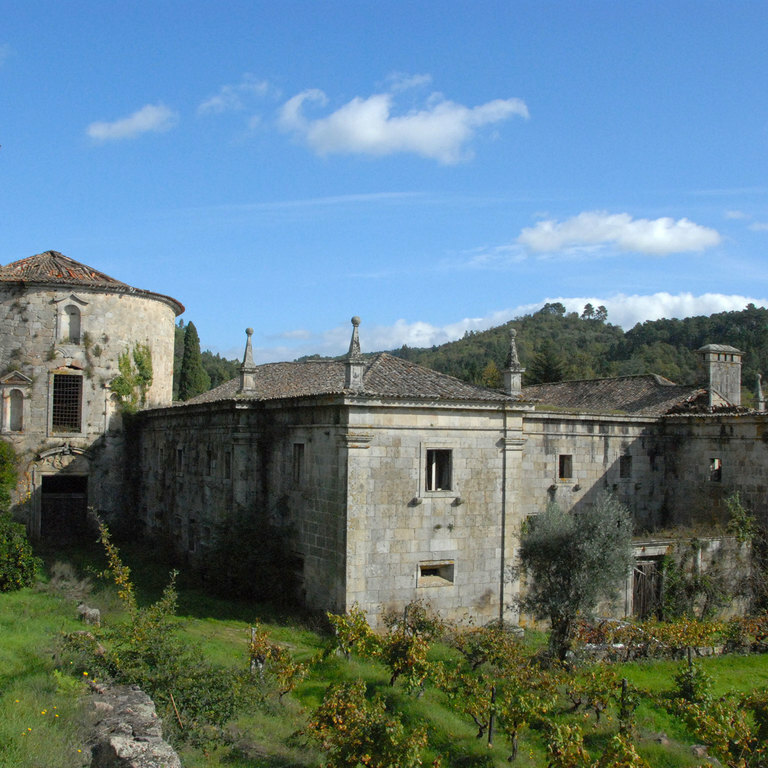 It was during the seventeenth century that the actual monastery was built. 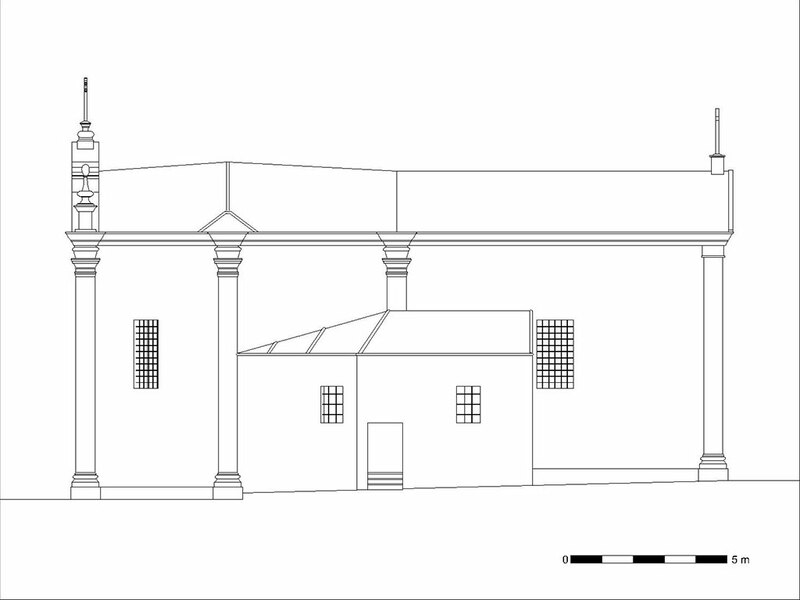 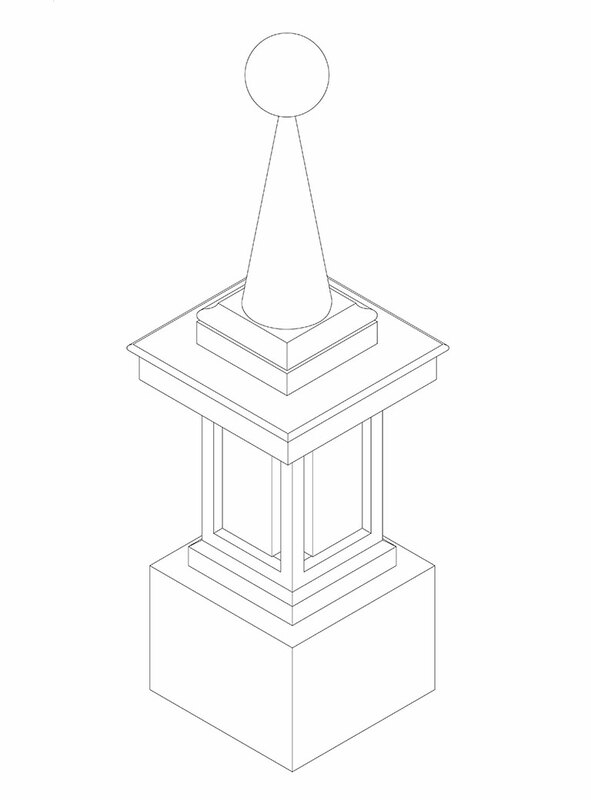 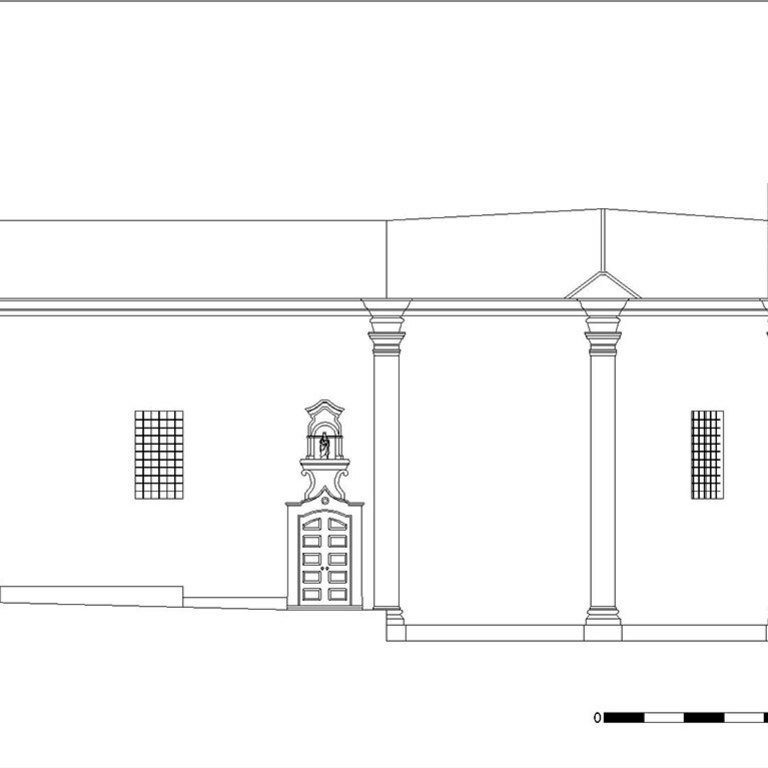 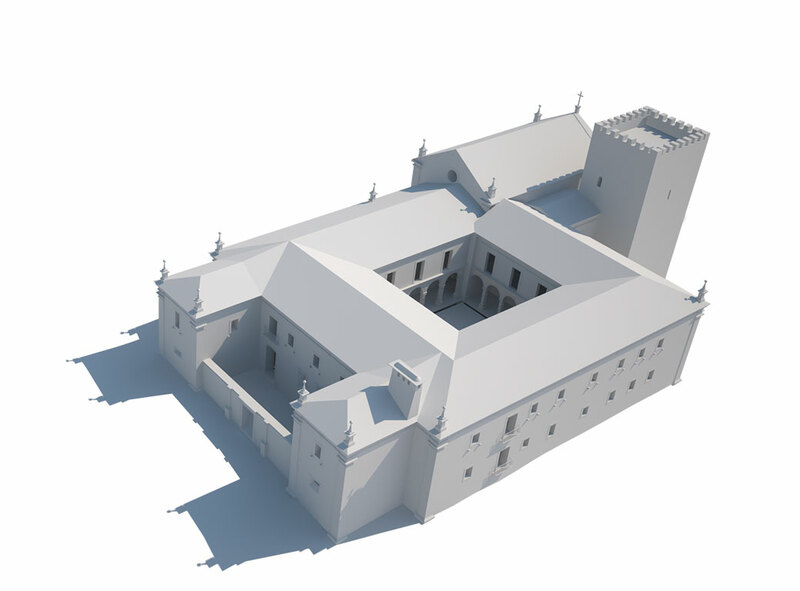 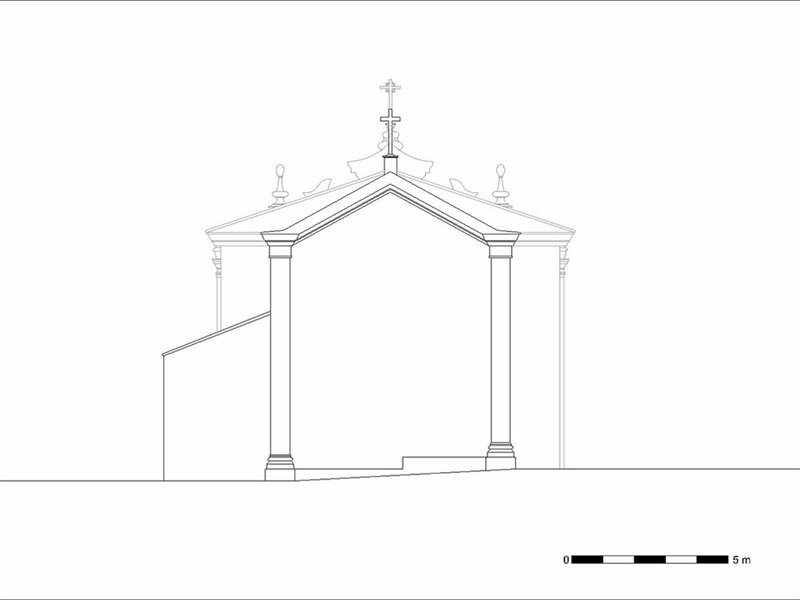 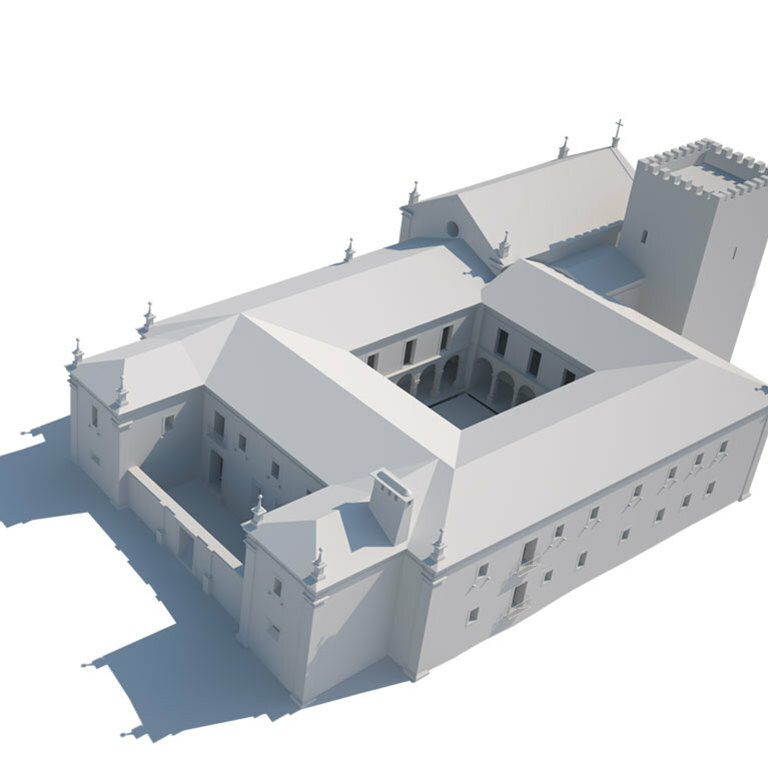 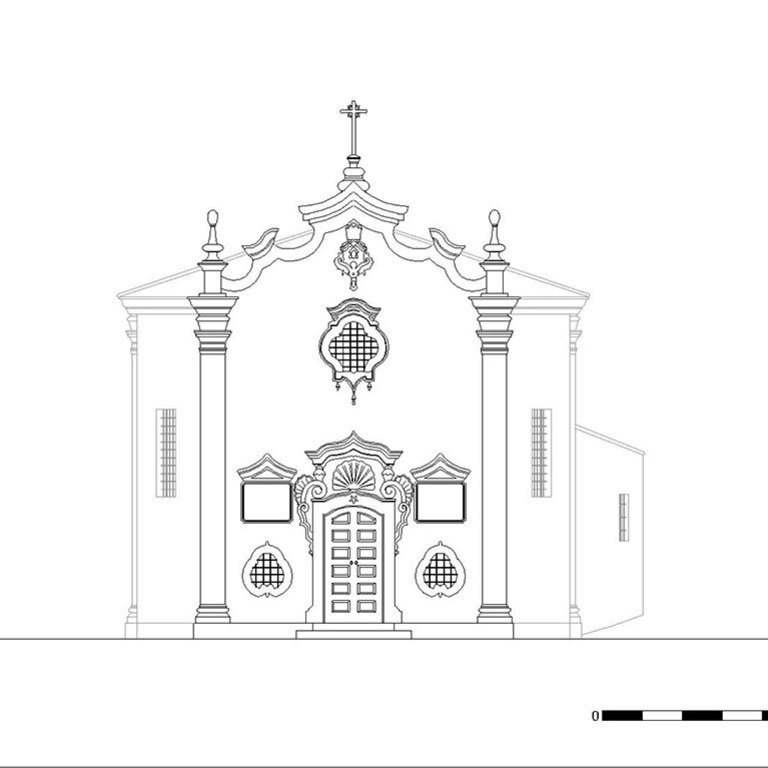 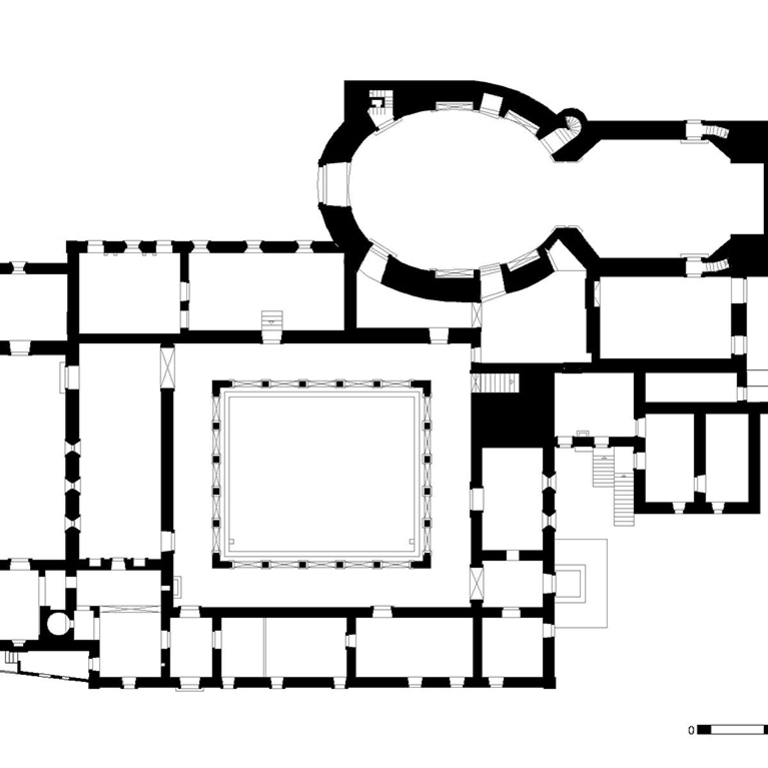 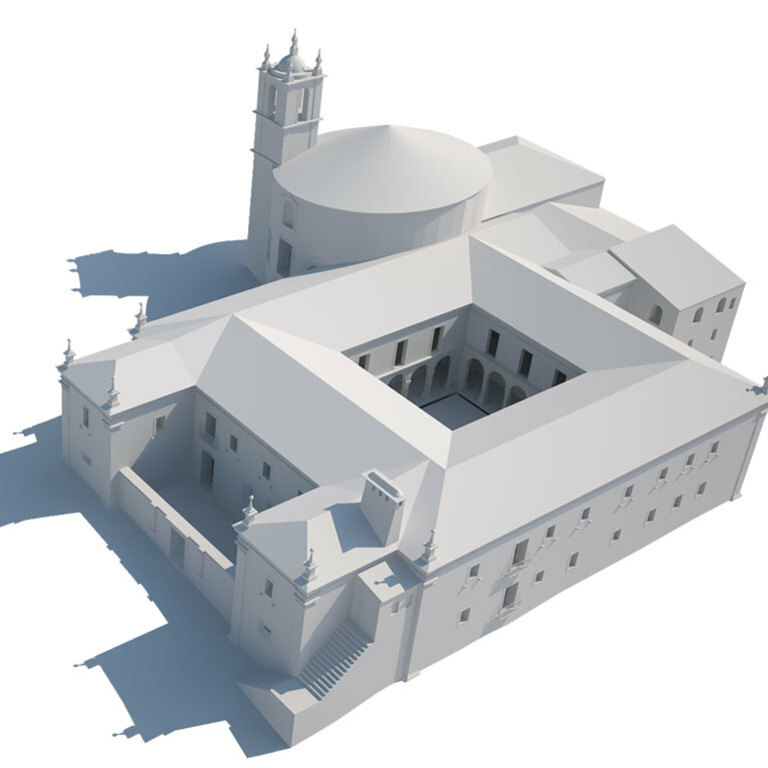 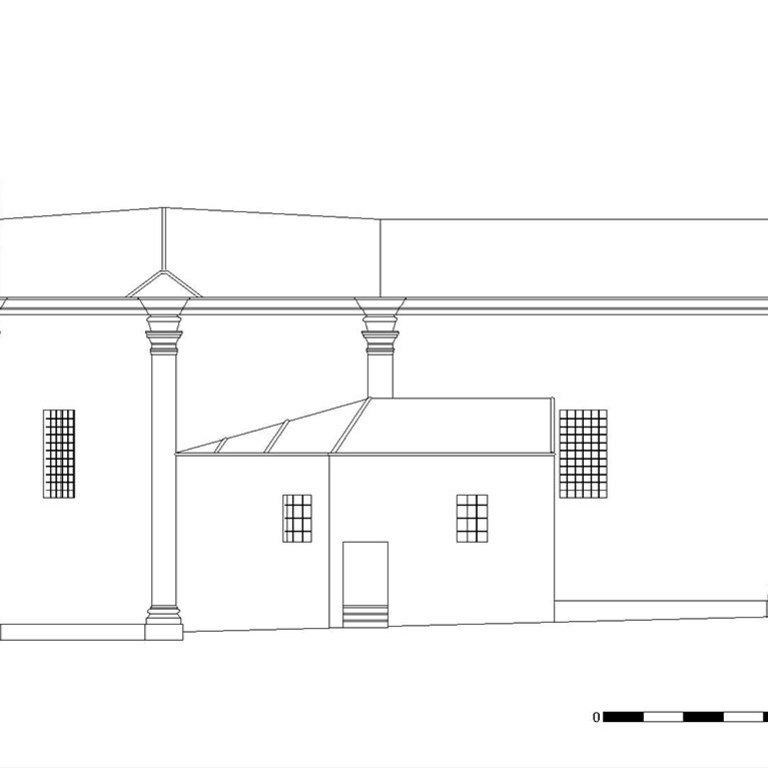 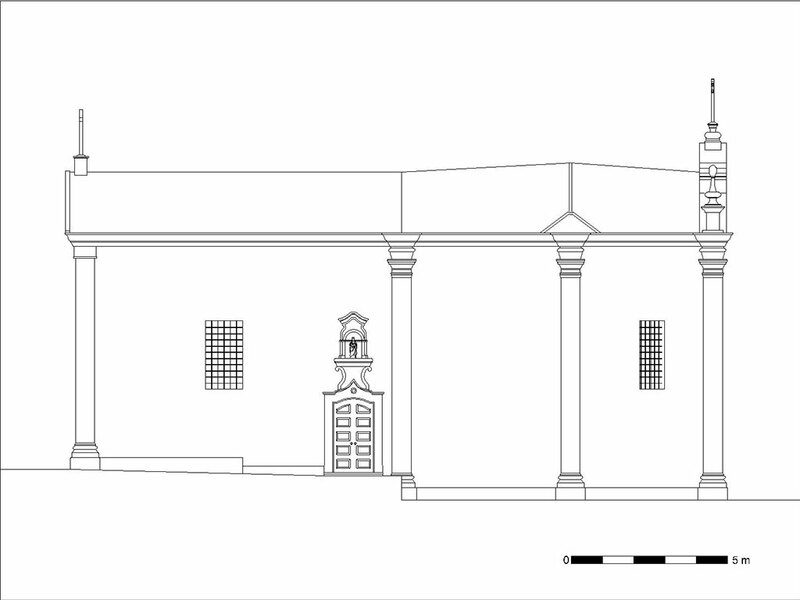 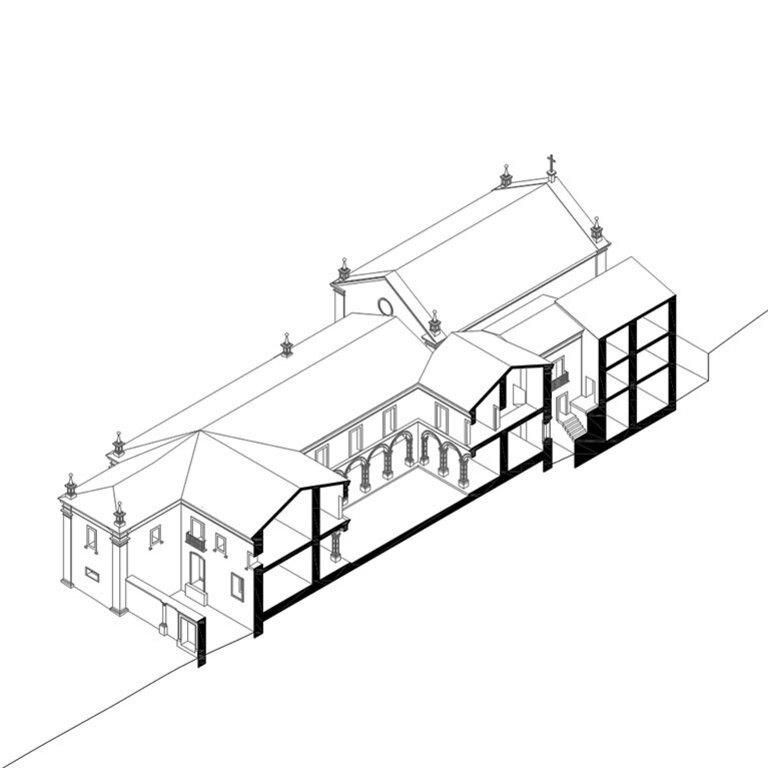 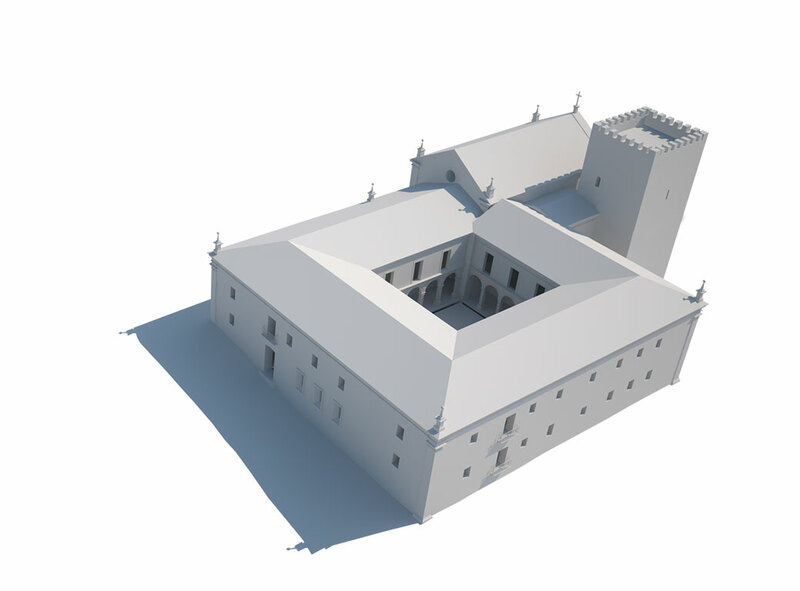 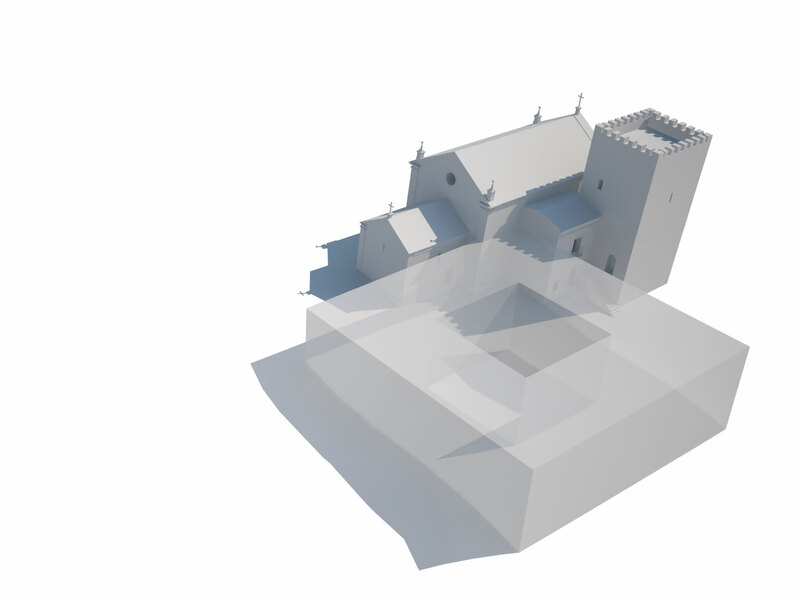 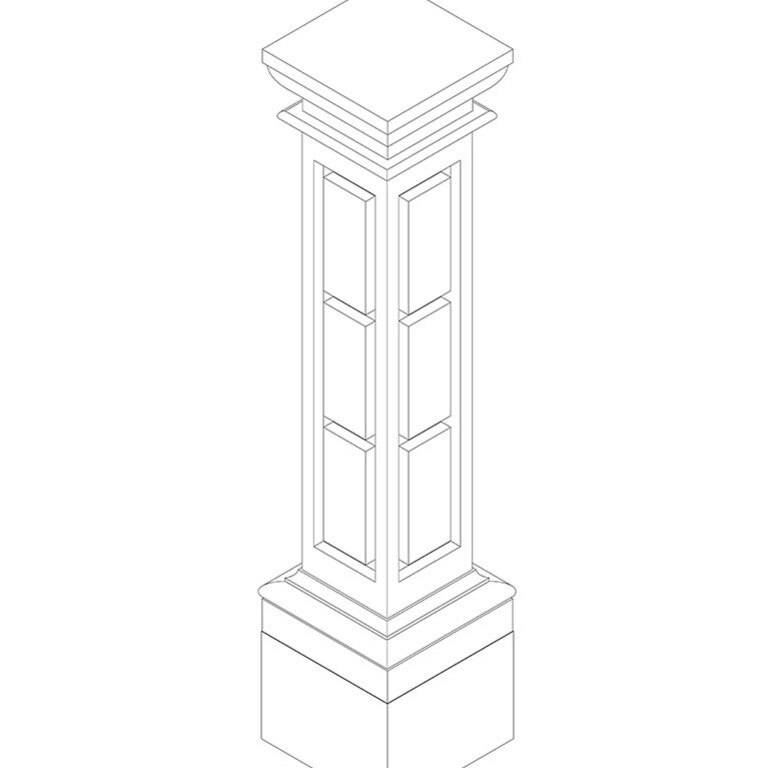 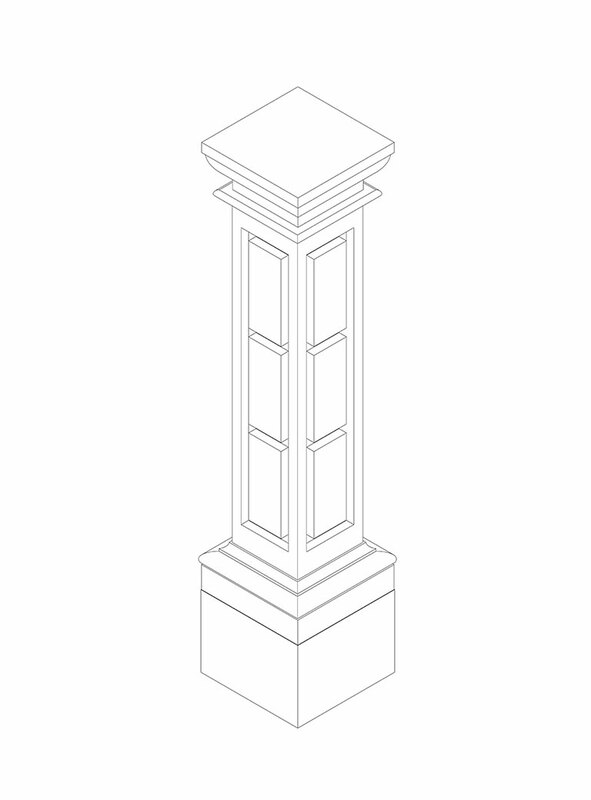 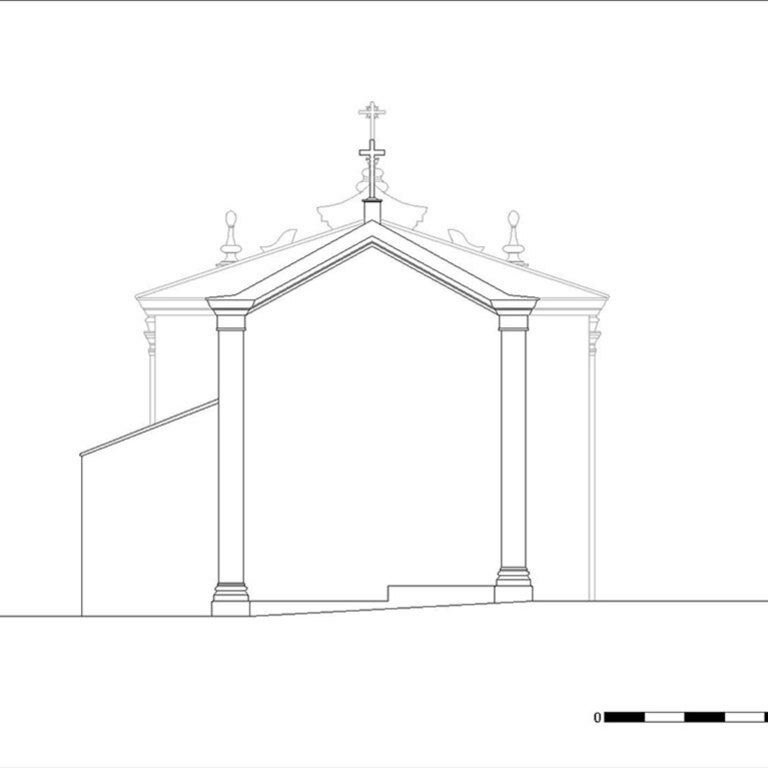 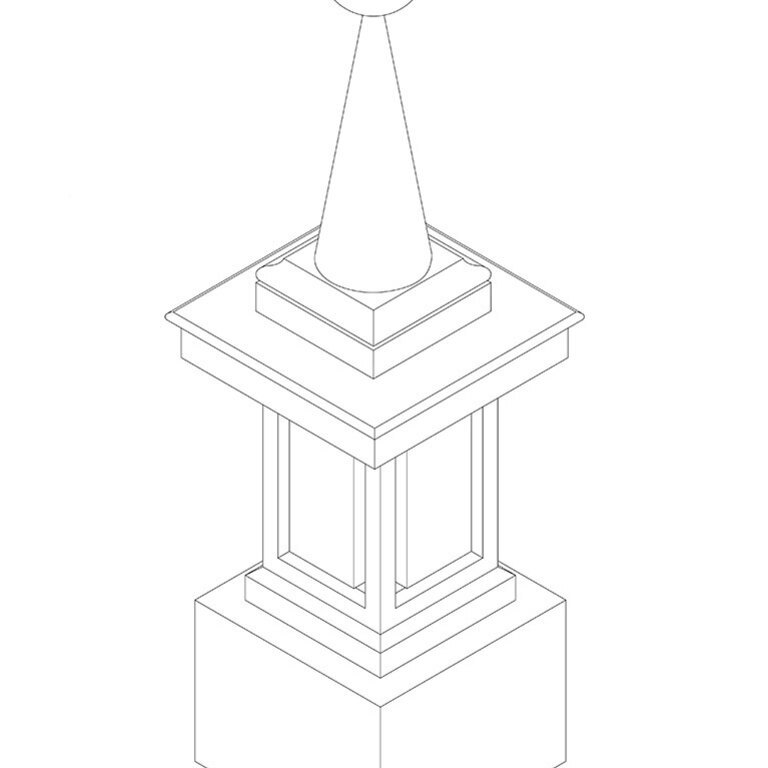 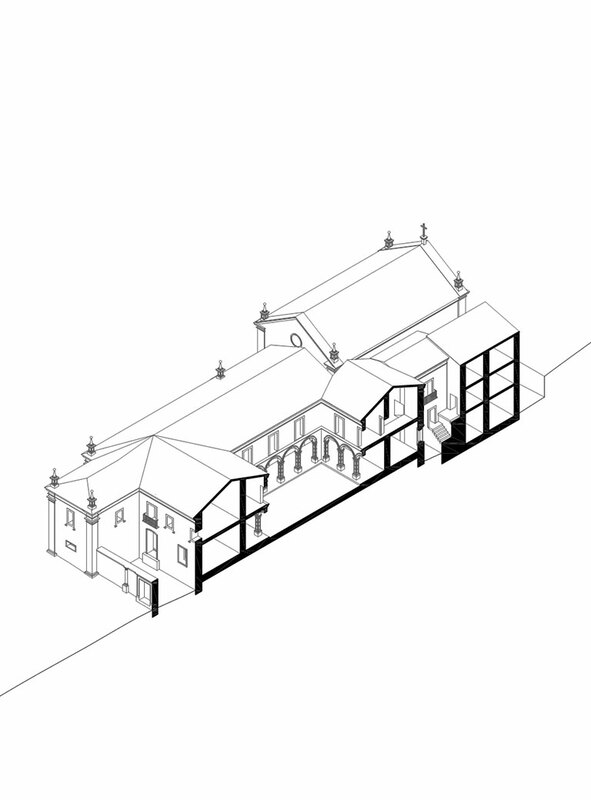 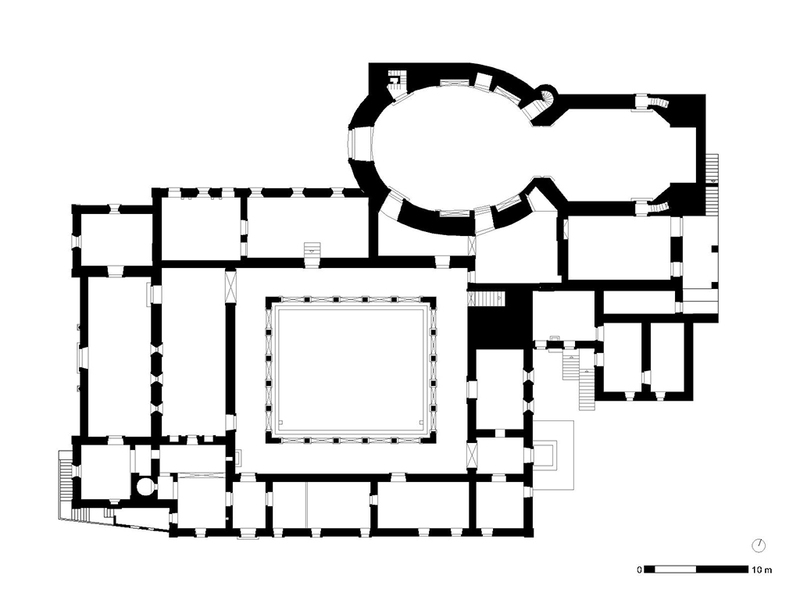 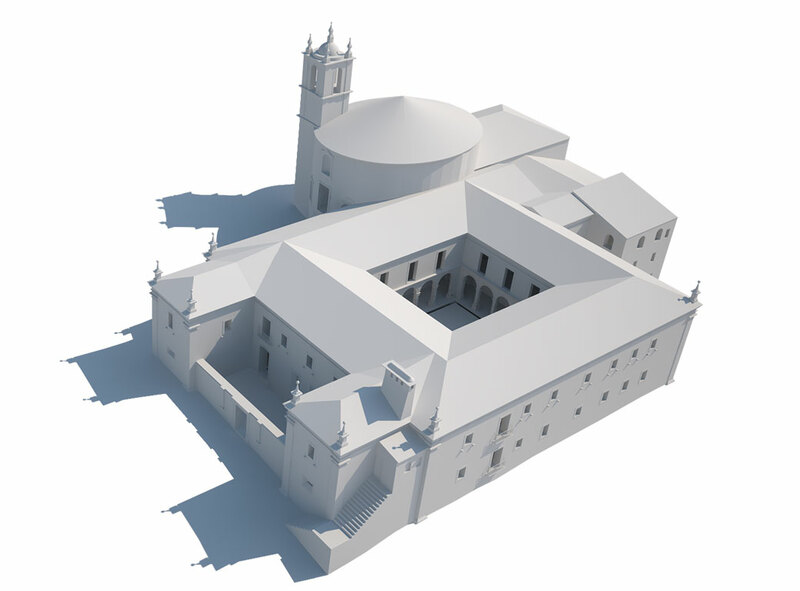 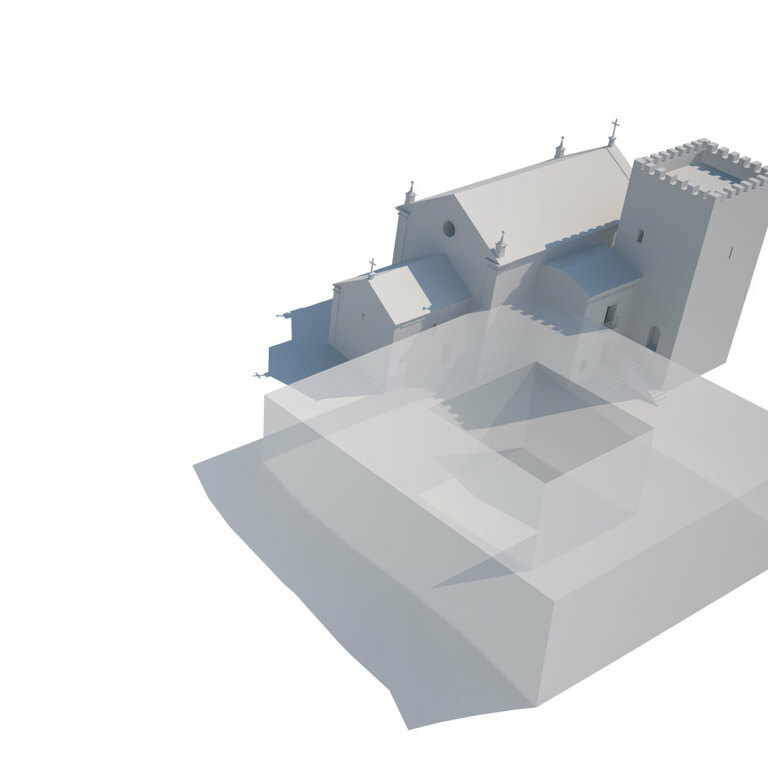 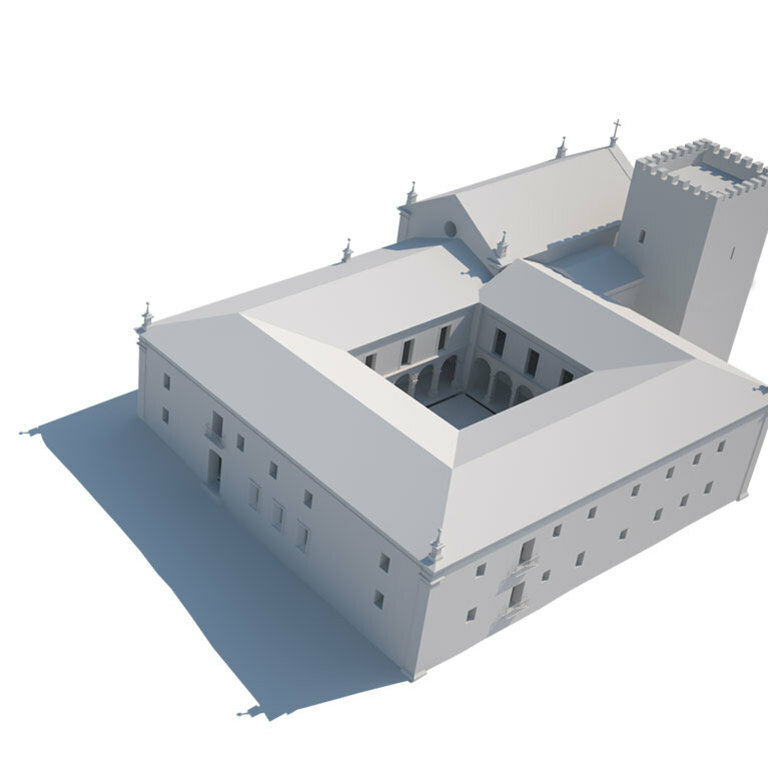 The new post- tridentine structure was intended to face East, since the monastic vestibule (preceded by a short set of stairs) faces that direction. 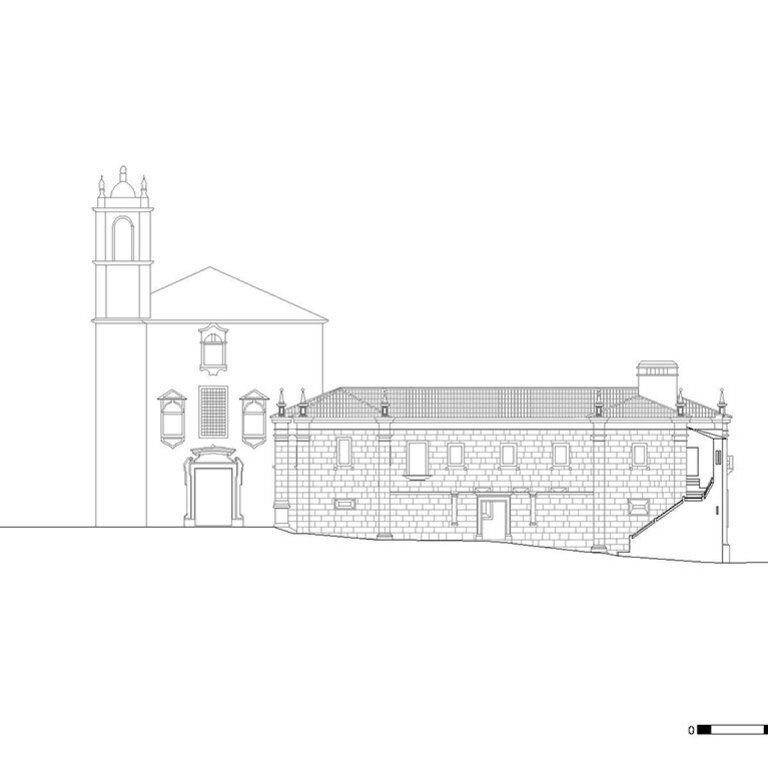 However, important subsequent changes were made - the most relevant of which was the construction of the current oval church (in the eighteenth century) and the total reversal of the monastery’s orientation. 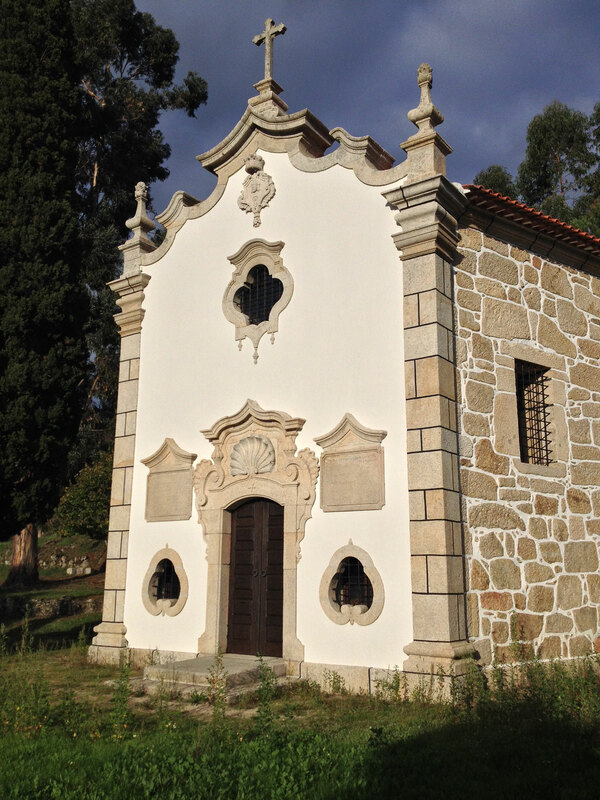 To the east of the monastery appears the small chapel of Our Lady of the Head, built during the second half of the eighteenth century. 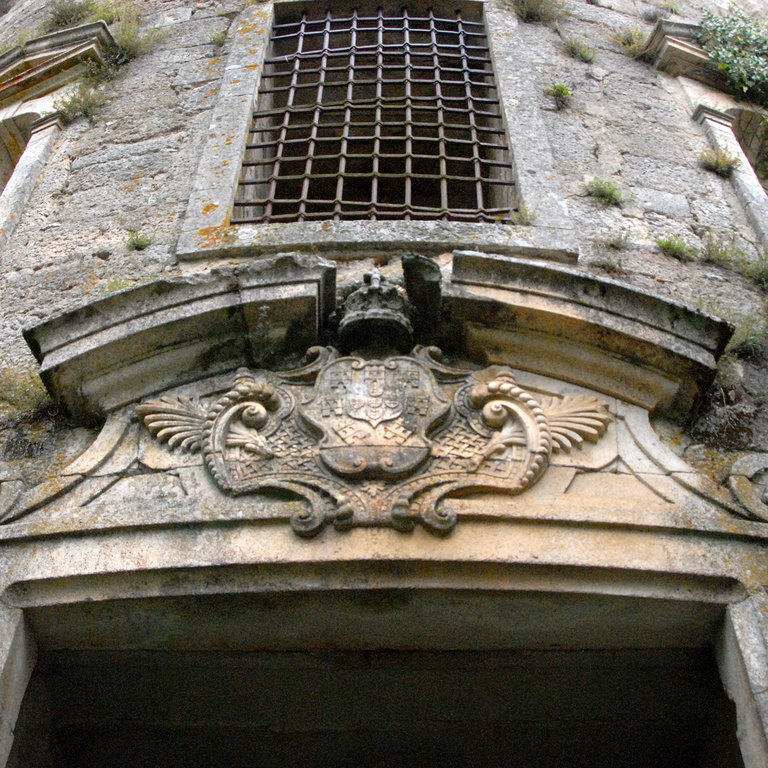 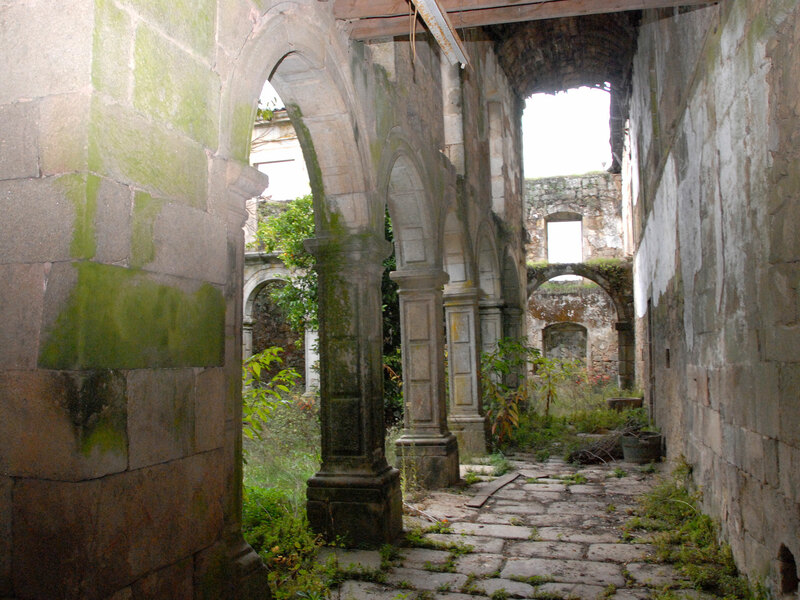 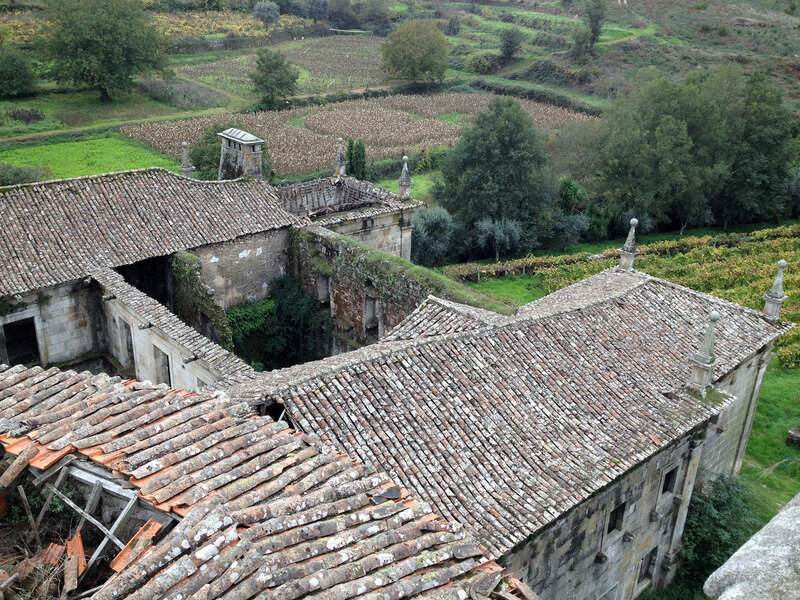 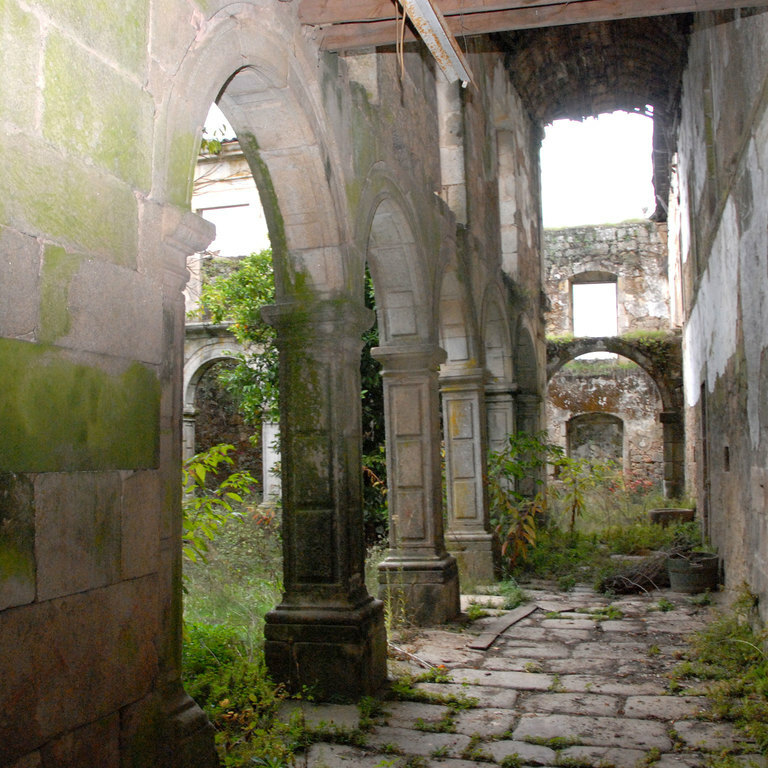 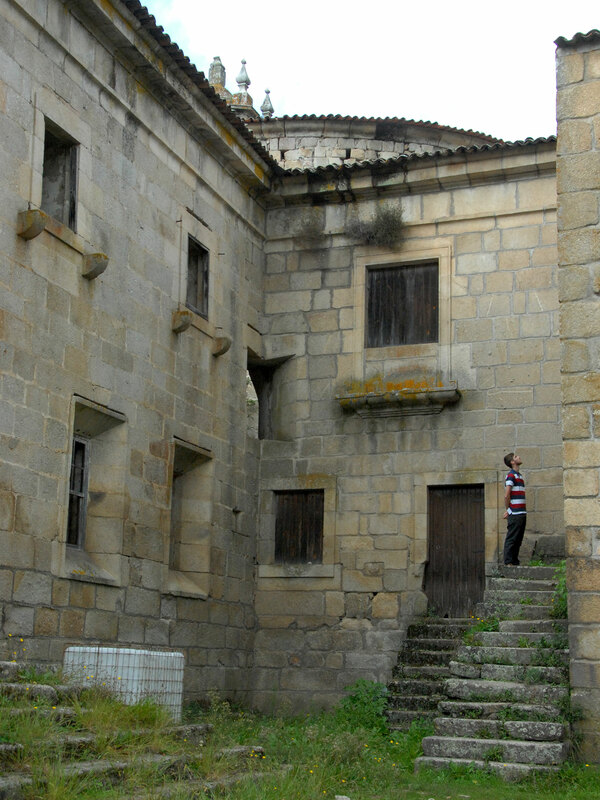 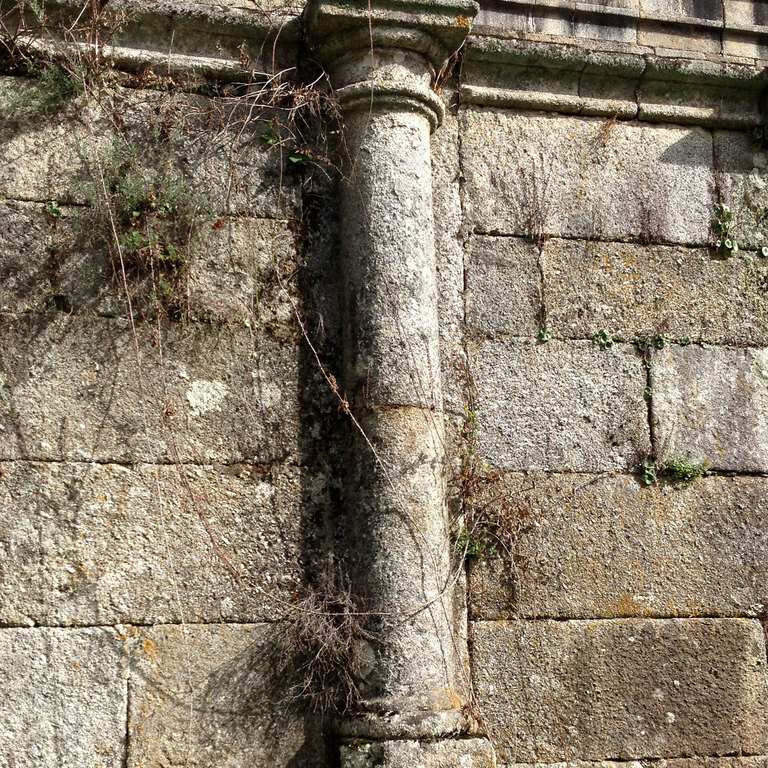 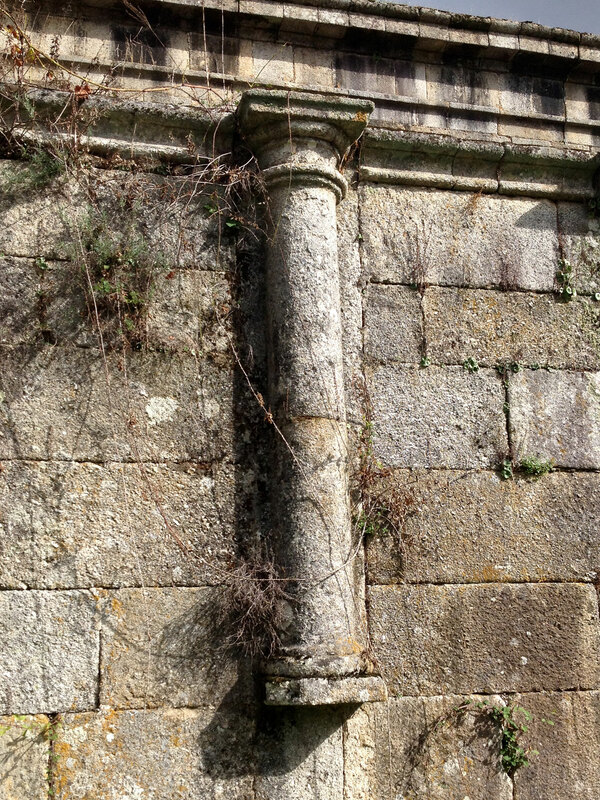 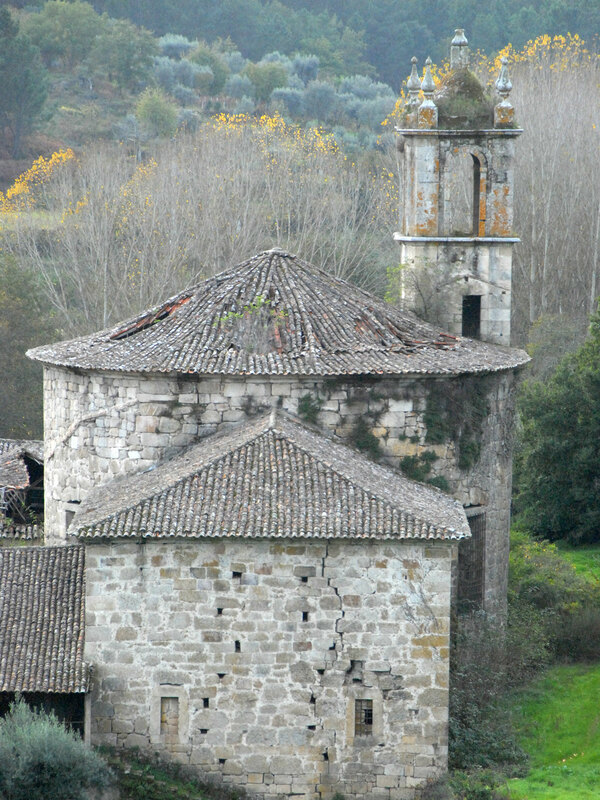 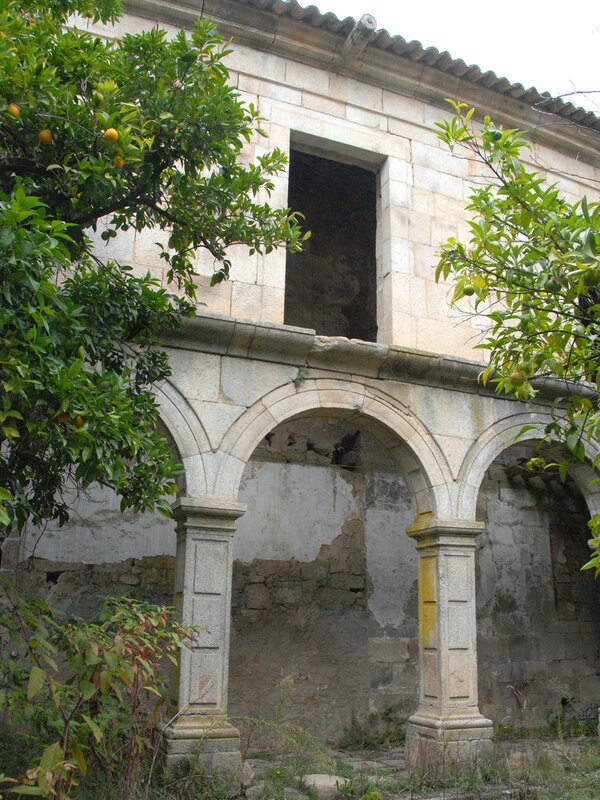 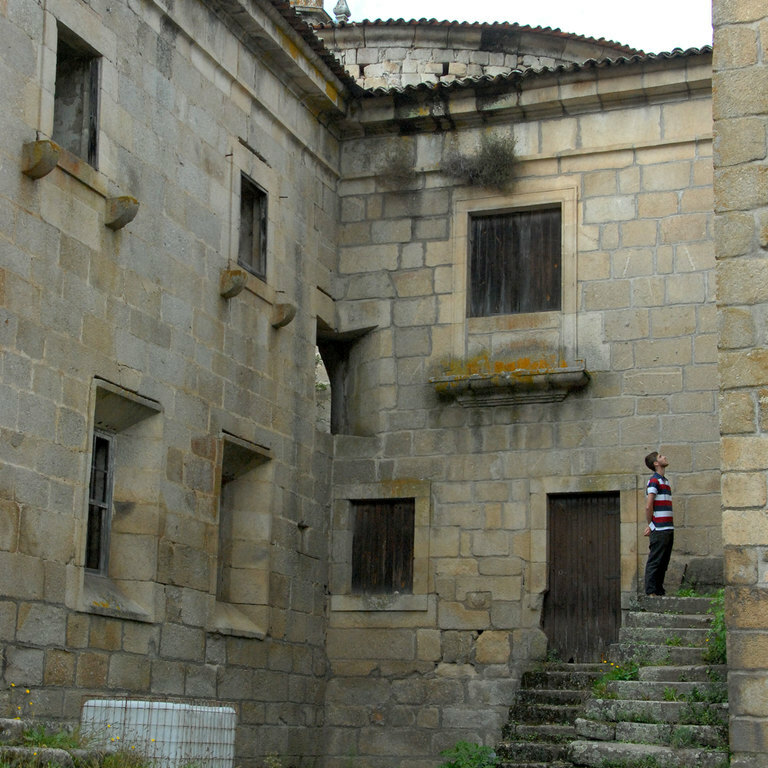 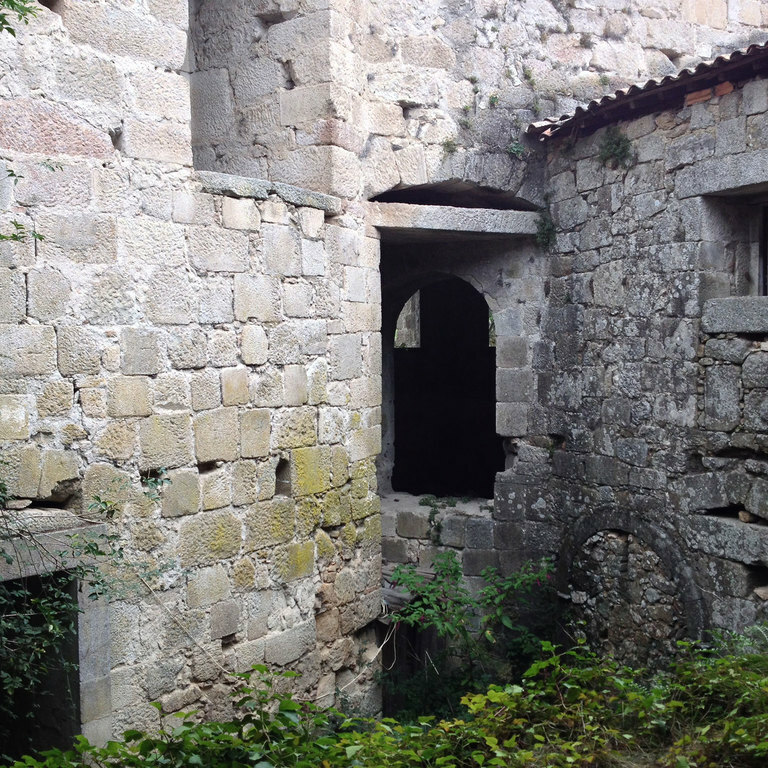 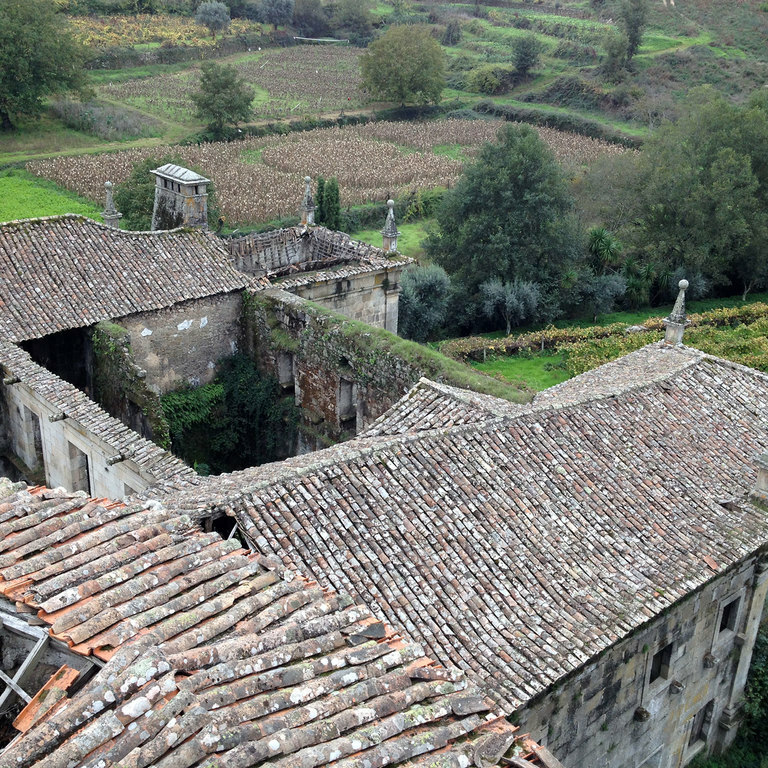 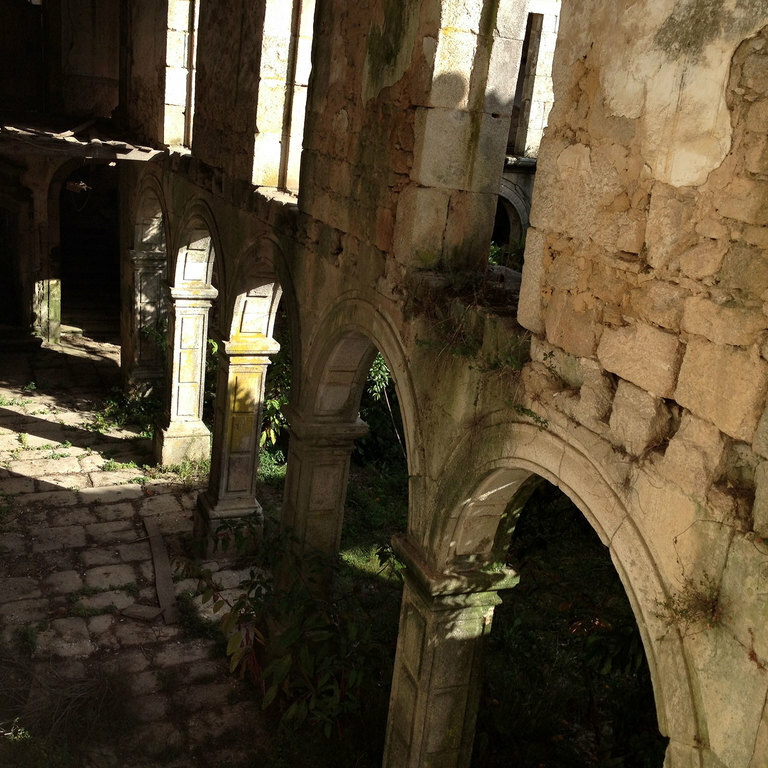 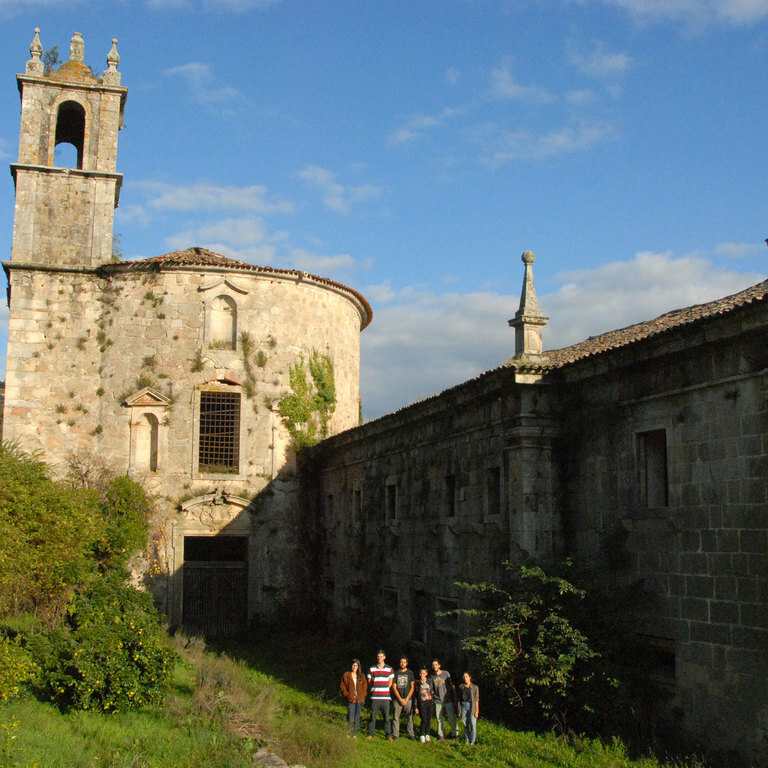 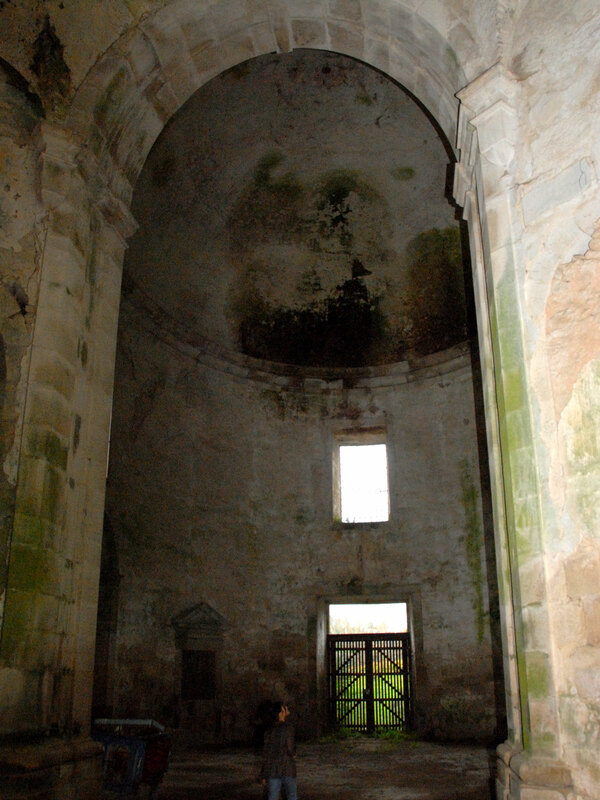 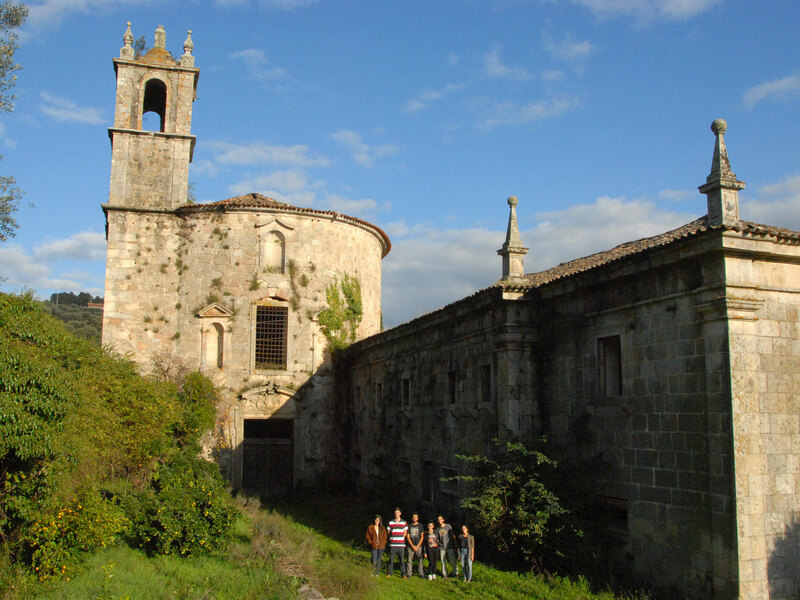 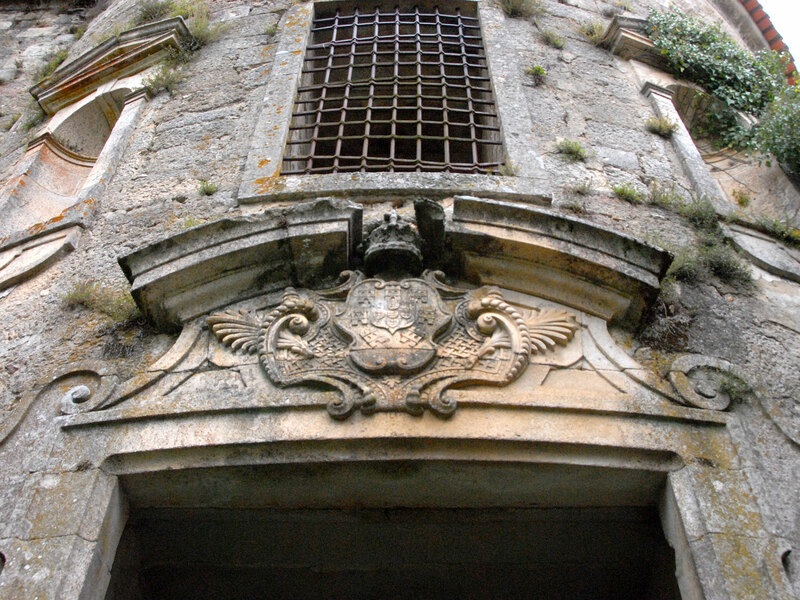 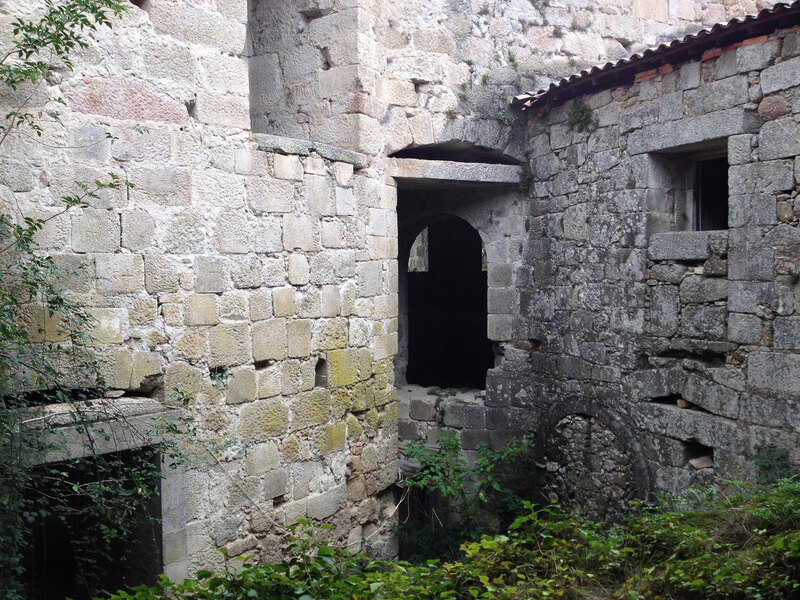 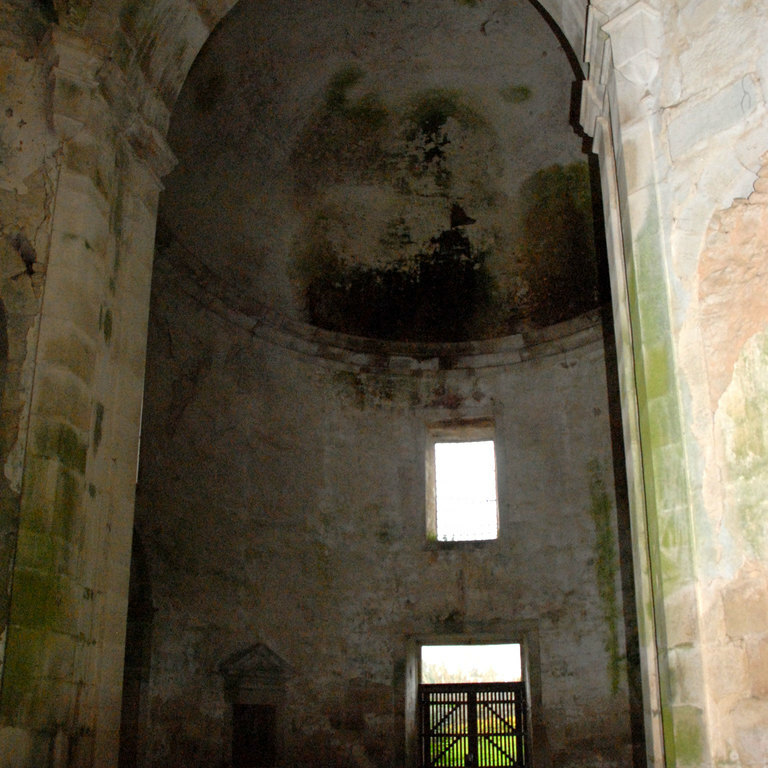 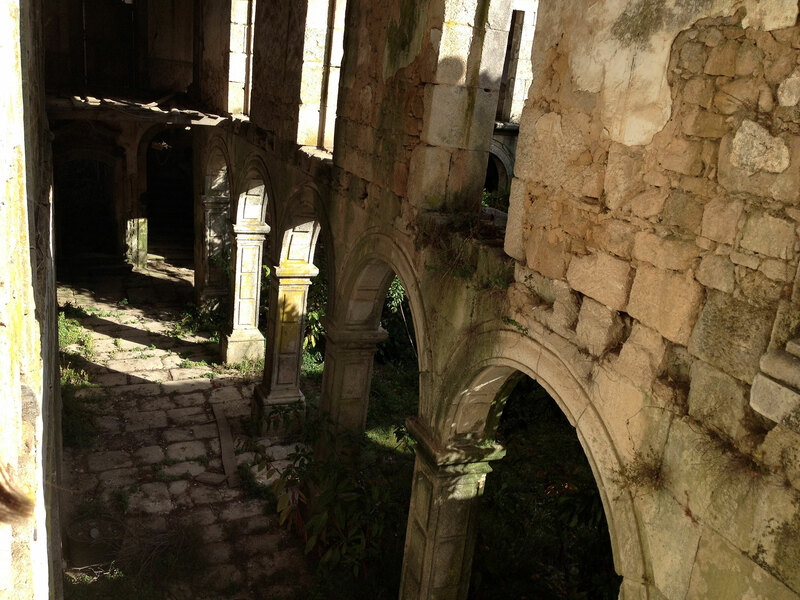 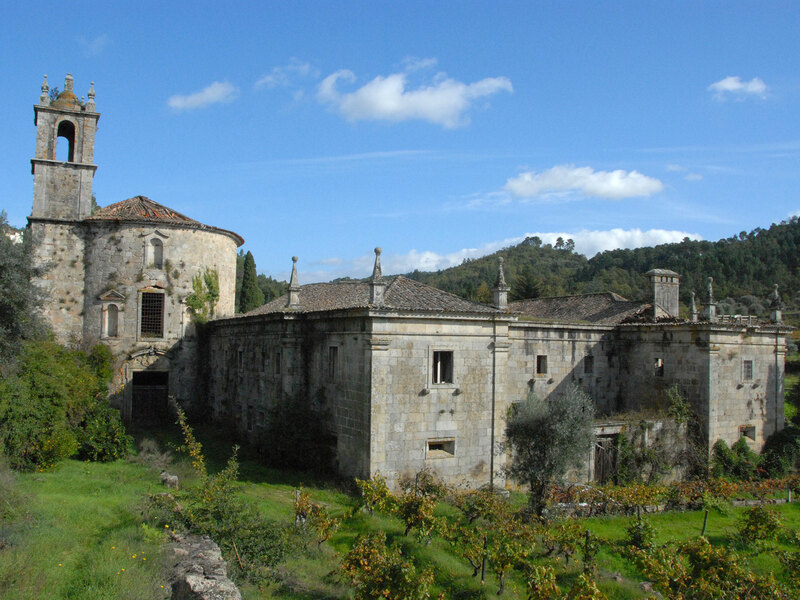 The property is currently privately owned and the monastery is virtually abandoned. 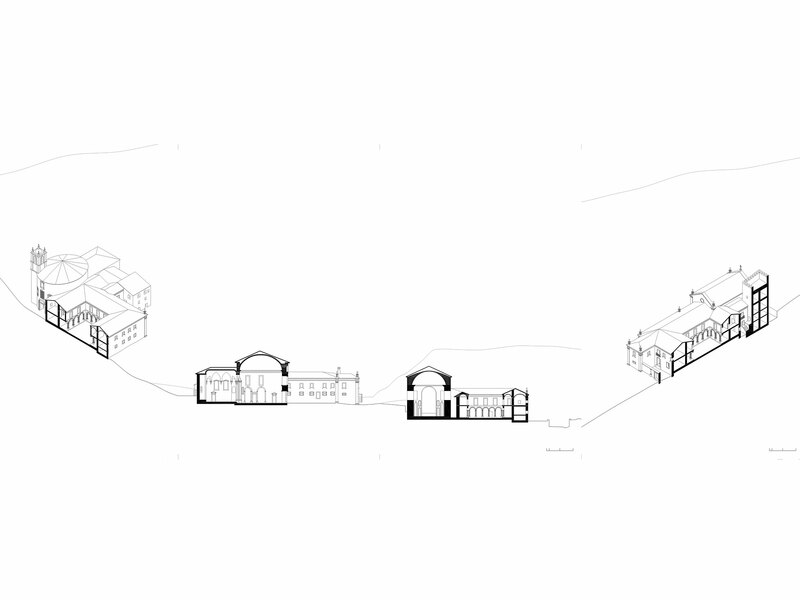 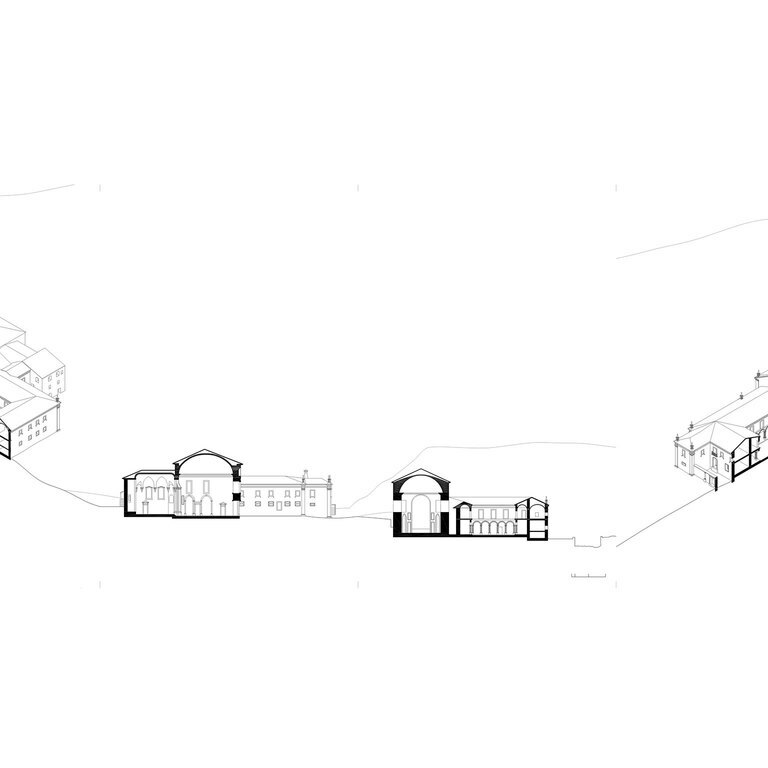 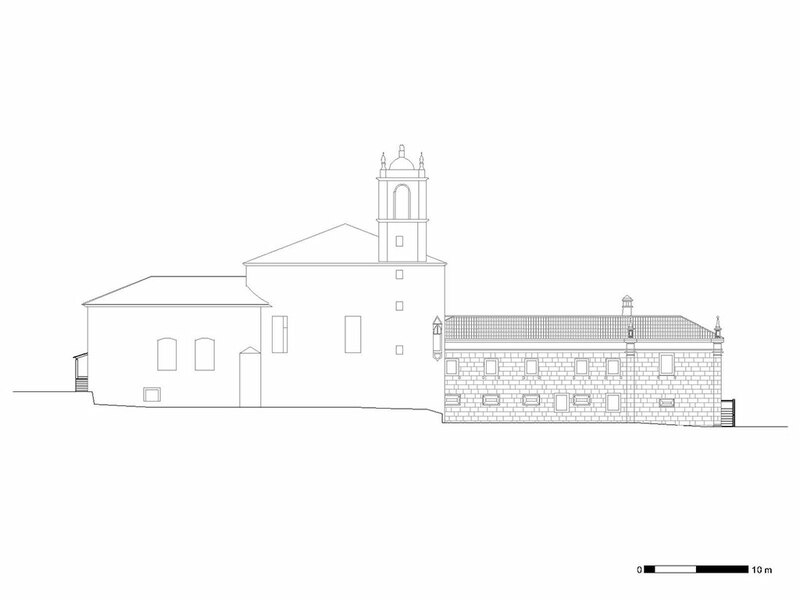 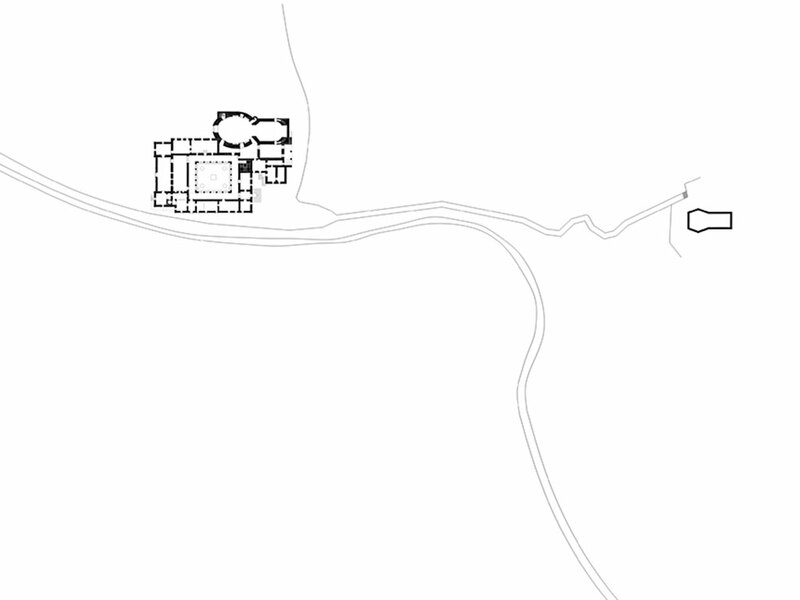 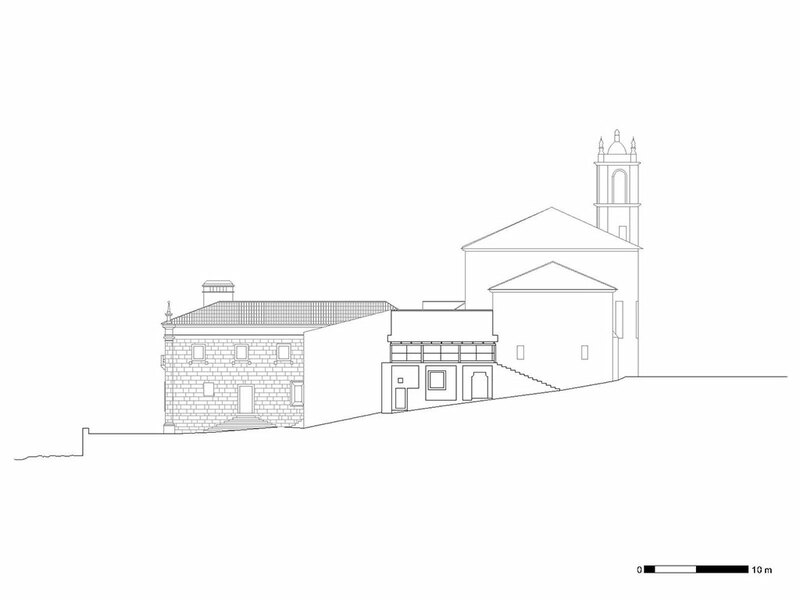 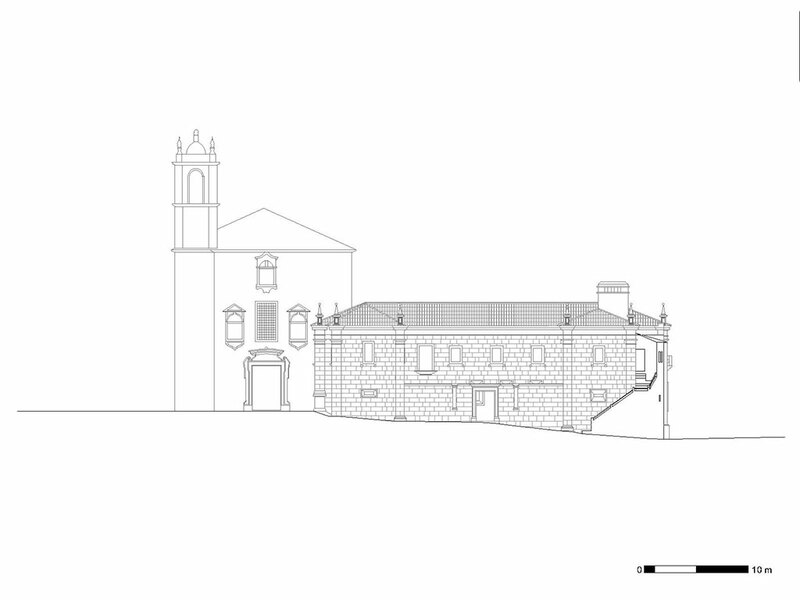 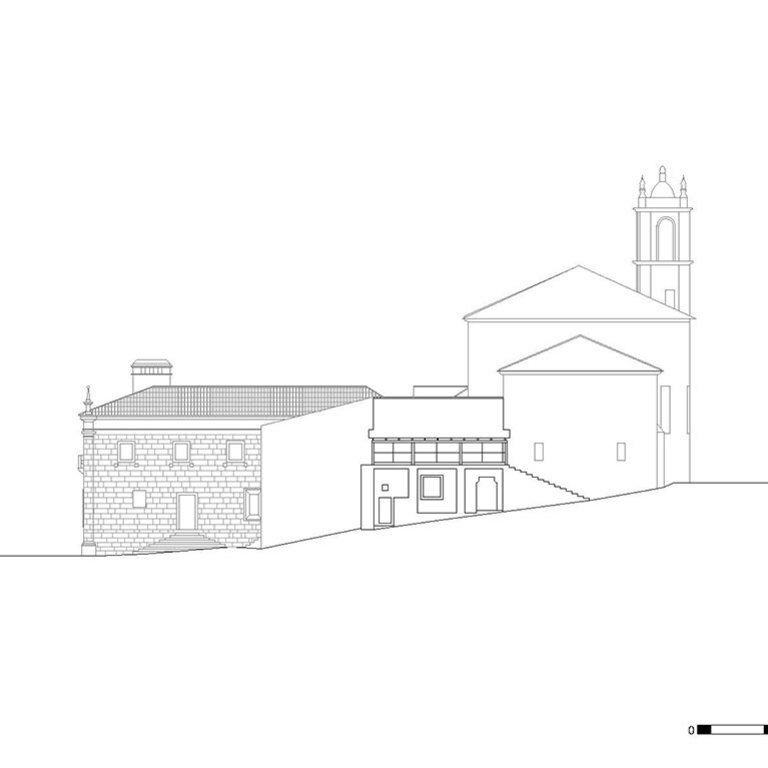 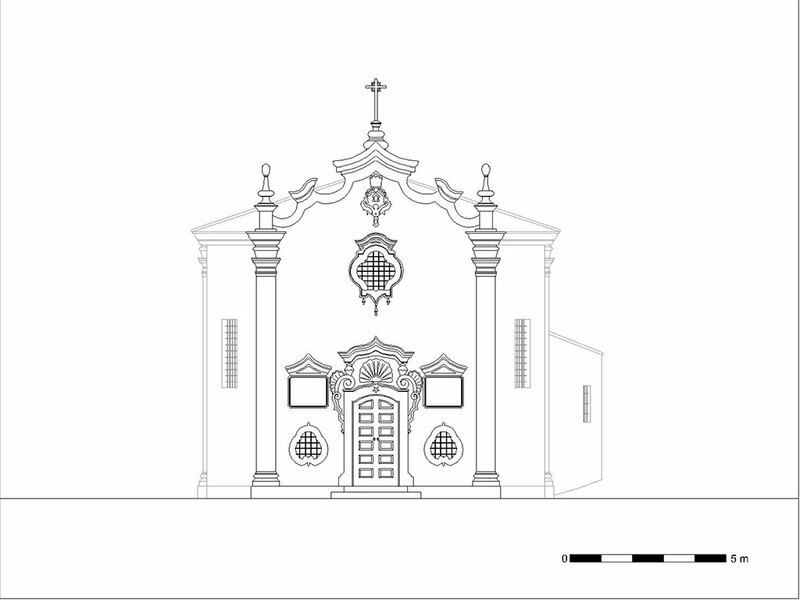 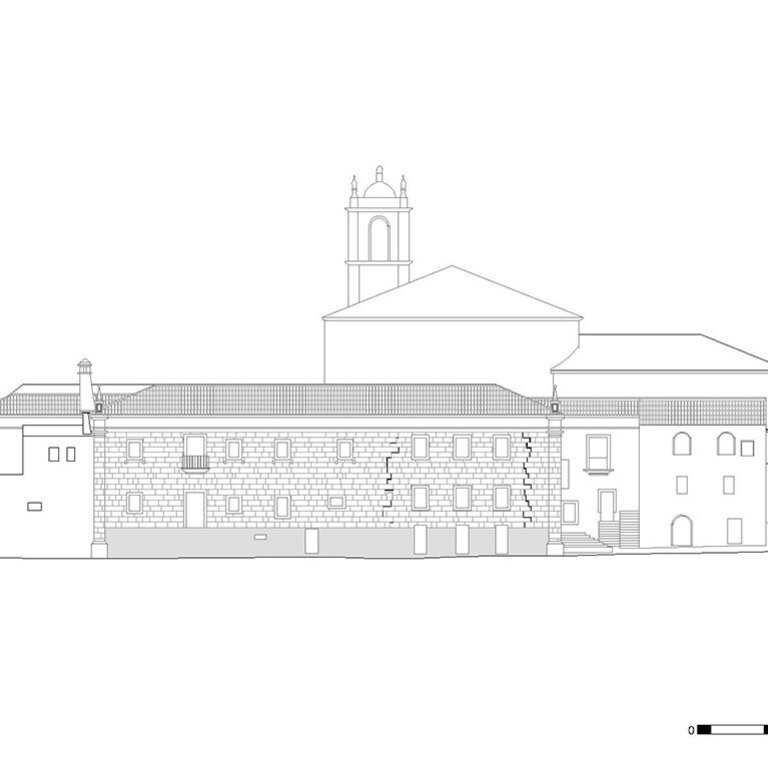 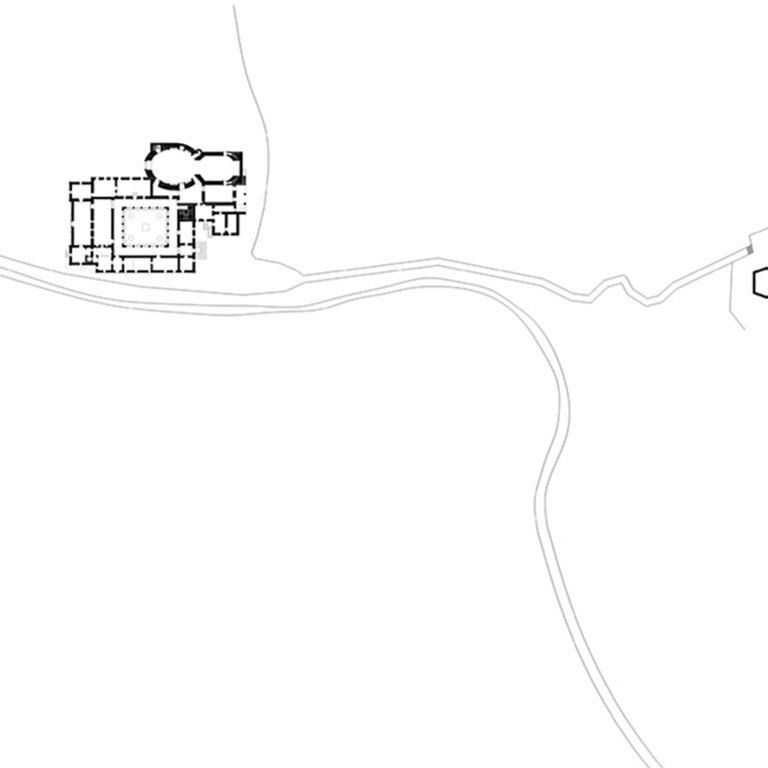 d) The assumption of a new orientation for the whole facility, with the construction of the current elliptical plan church in 1744-1779 facing the Dão valley to the West (a clearly Baroque attitude of control over the territory). 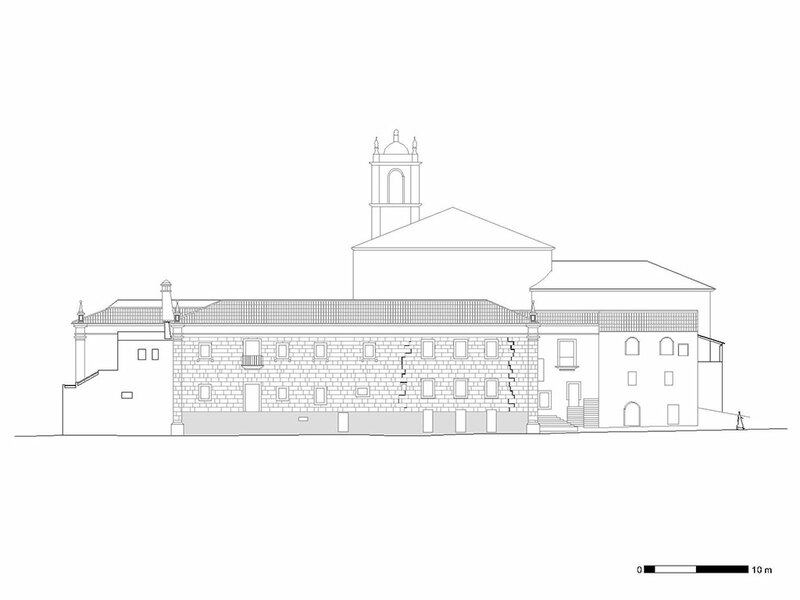 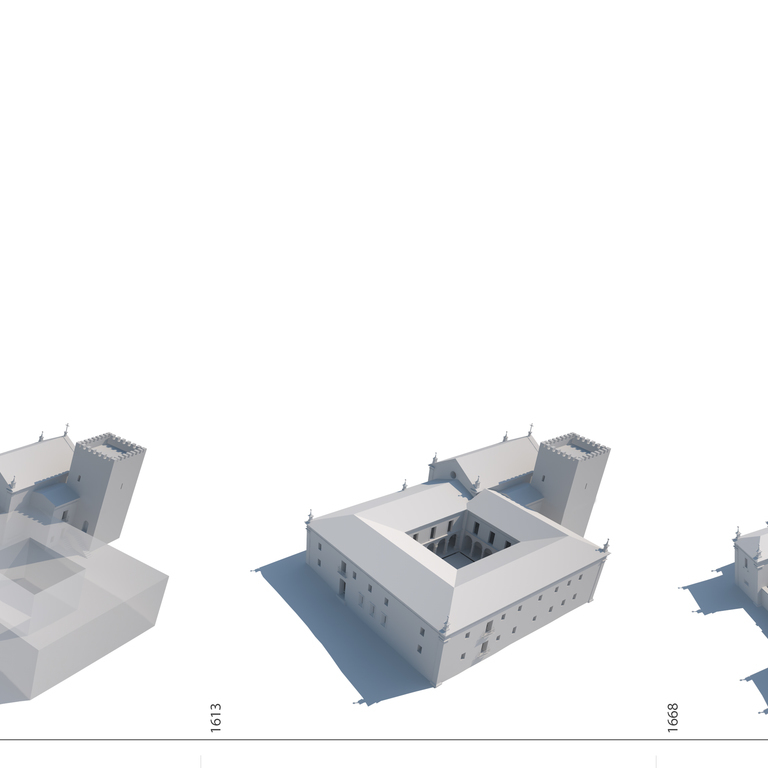 The medieval phase of the convent was skipped over in the evolution scheme due to the lack of historical elements.